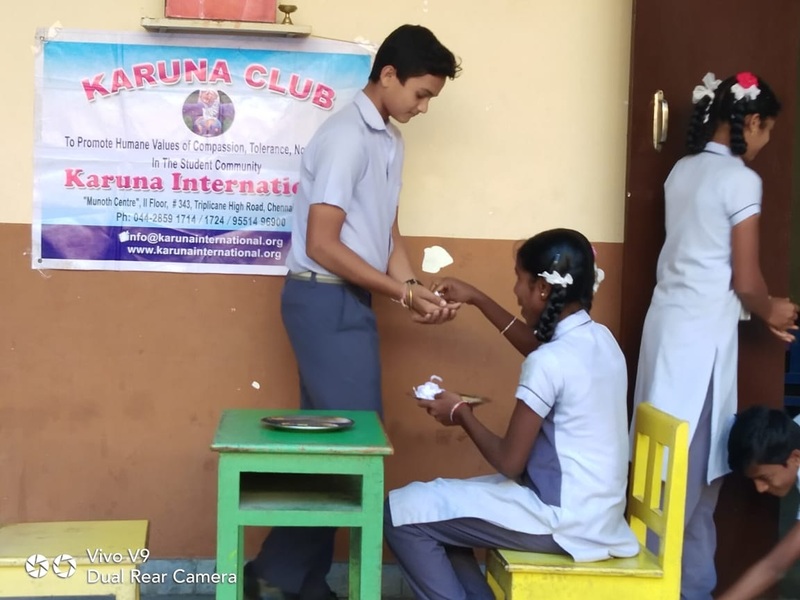 In connection with “Karuna Club activity”, a skit was performed in assembly by the calss-IX students on the topic “Don’t leave Poverty as Poverty, Put a Step ahead” on 15th December 2019. 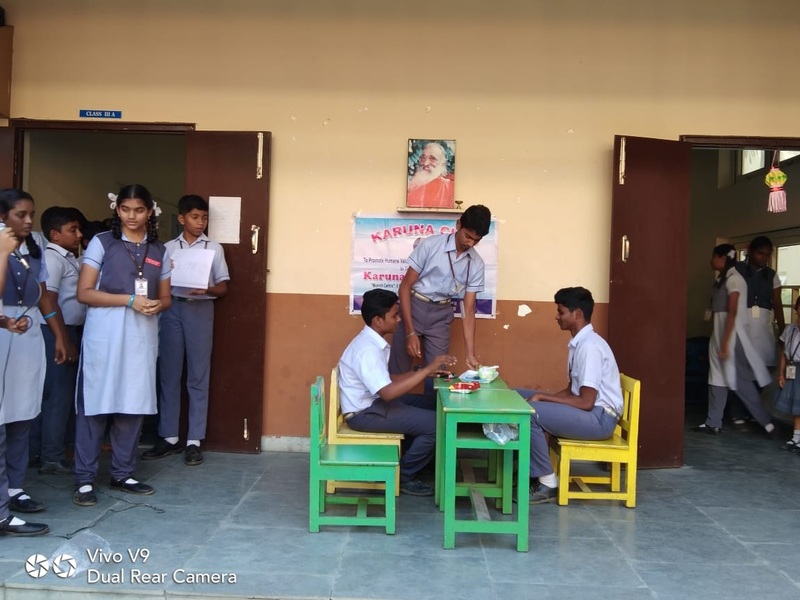 The moral of this skit is don’t waste the food unnecessarily, try to donate something to poor. 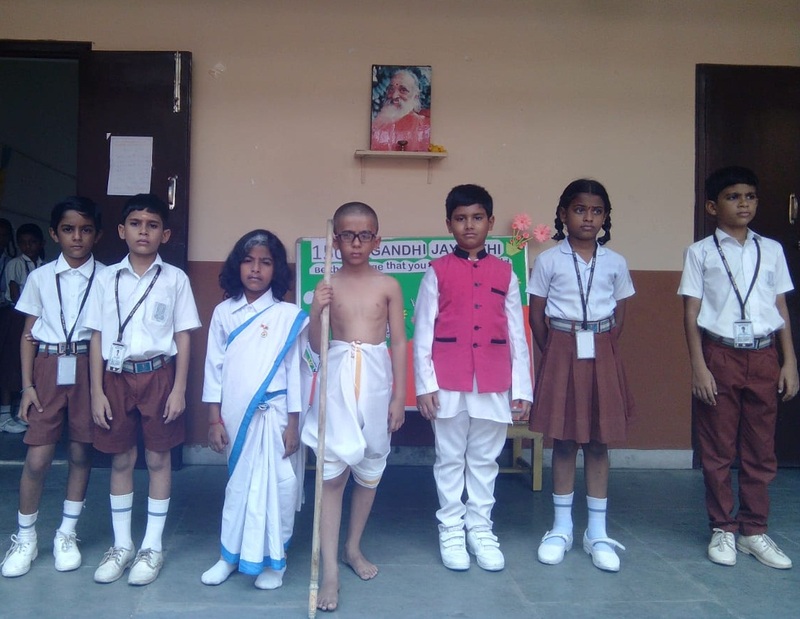 In connection with “Karuna Club activity”, our students of Class-V performed a skit in assembly about“The Importance Of Education” on 12th February 2019. 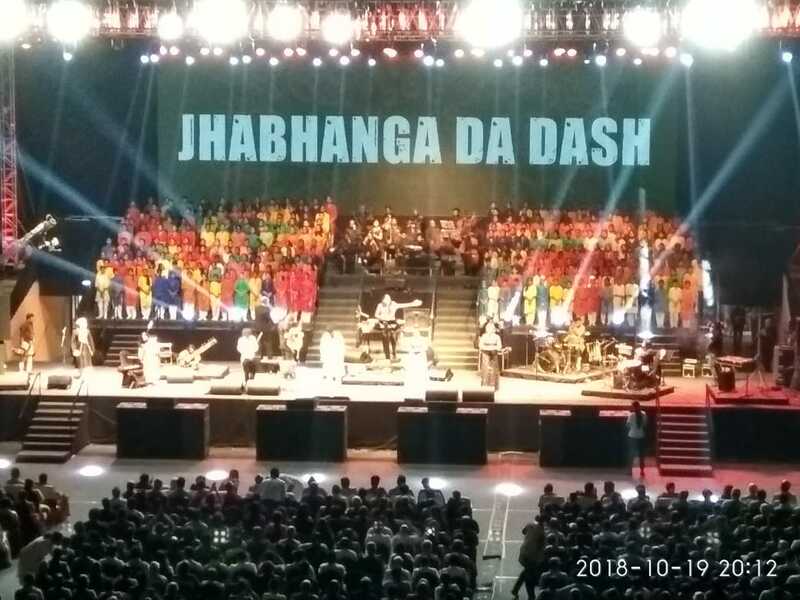 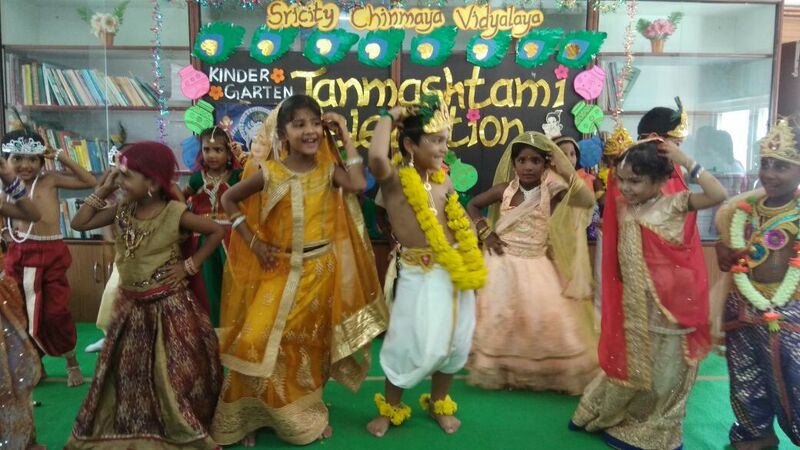 Children participated enthusiastically and conveyed the message very effectively. 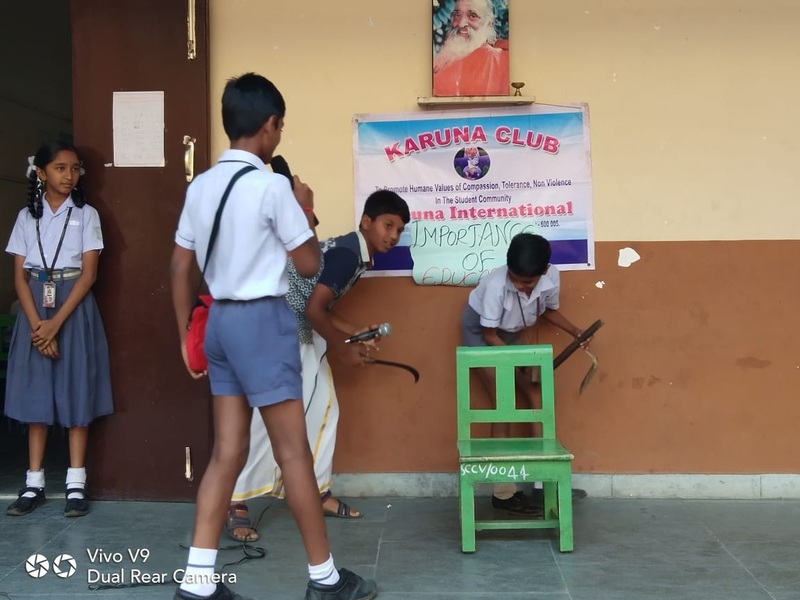 As a part of Karuna club activity, our students of class-VIII took up the cleaning of “Lord Shiva’s Temple” located at Bolingalapeta. 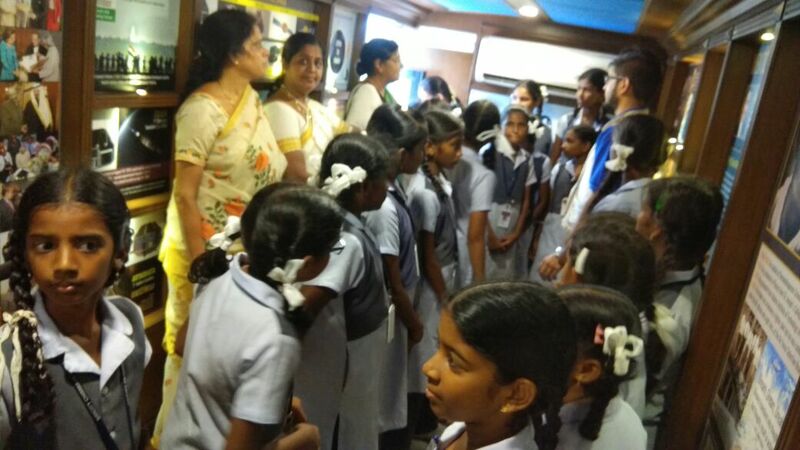 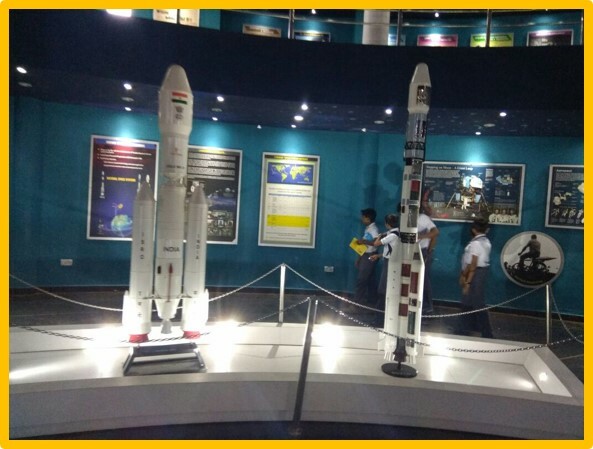 They were accompanied by our teachers Mrs.Vijayalakshmi and Mr.Sreenivasulu. 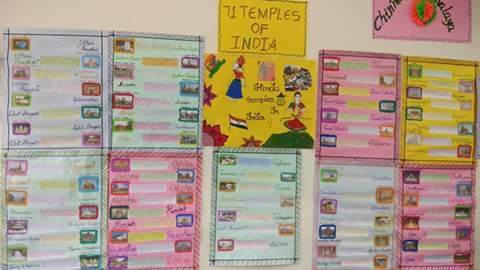 Students took pride in this activity and assured to do it regularly. 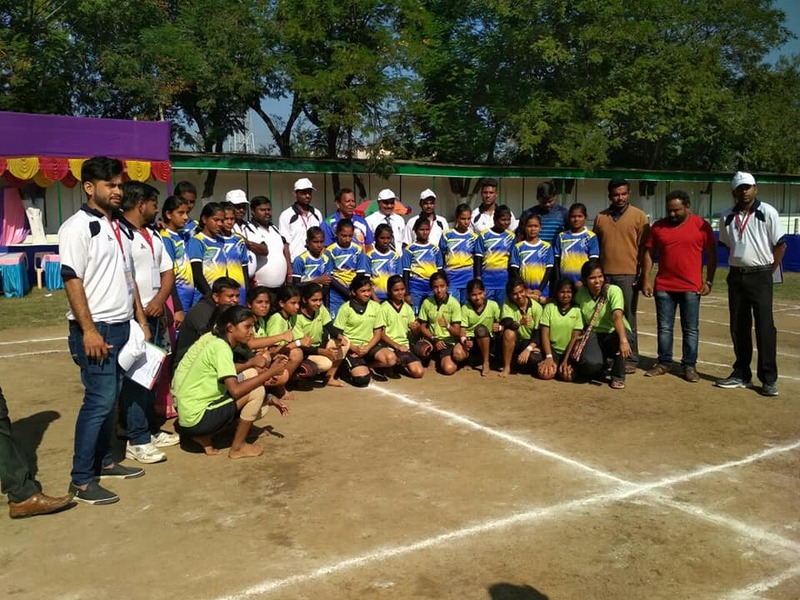 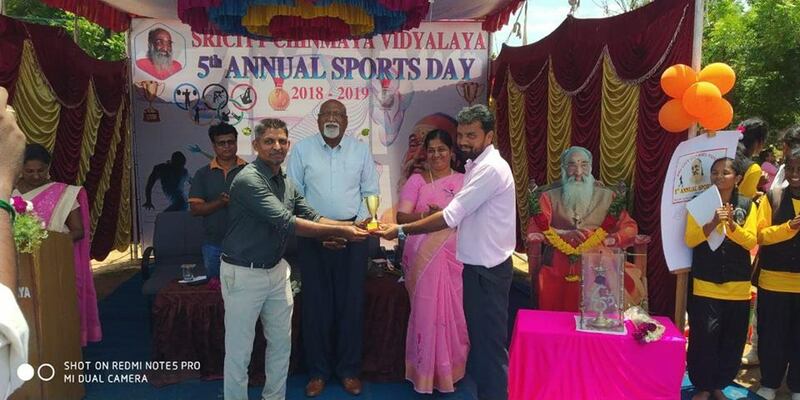 The spirit of friendly competition came alive on 2nd February 2019 at Sricity Chinmaya Vidyalaya, “Sports Day”. 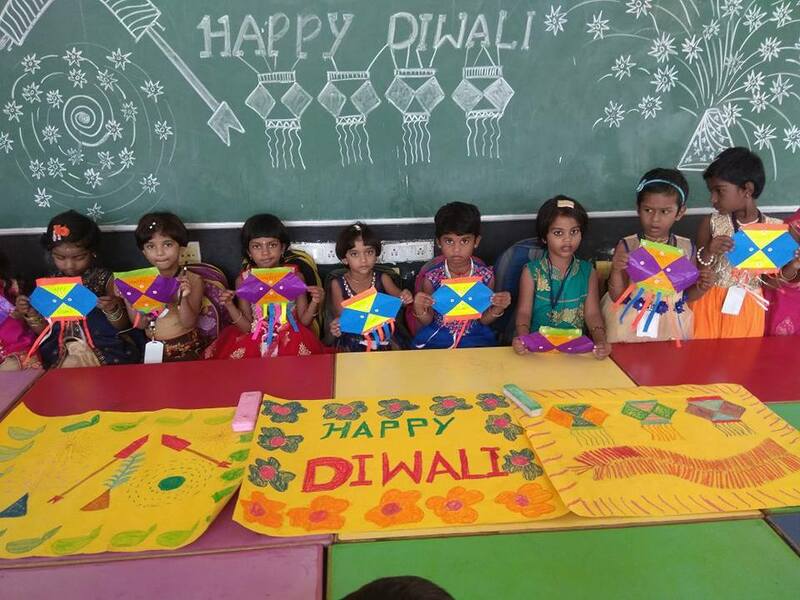 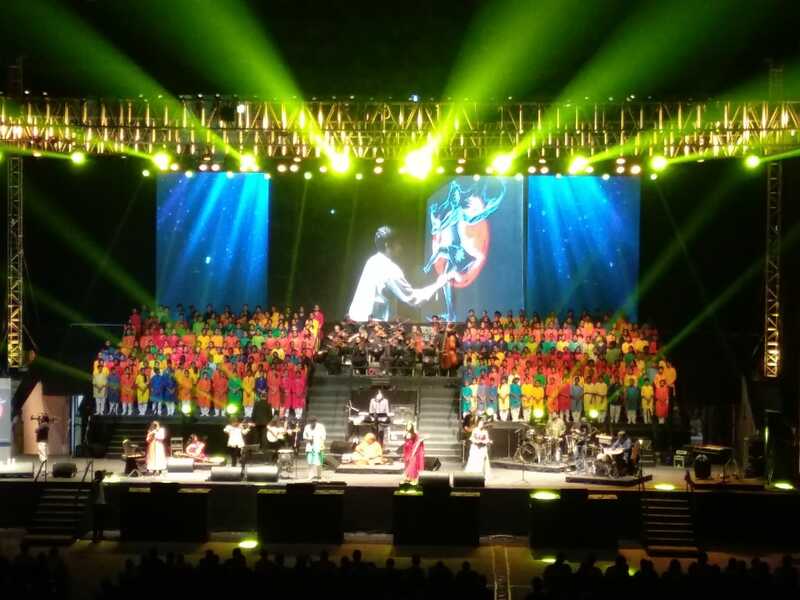 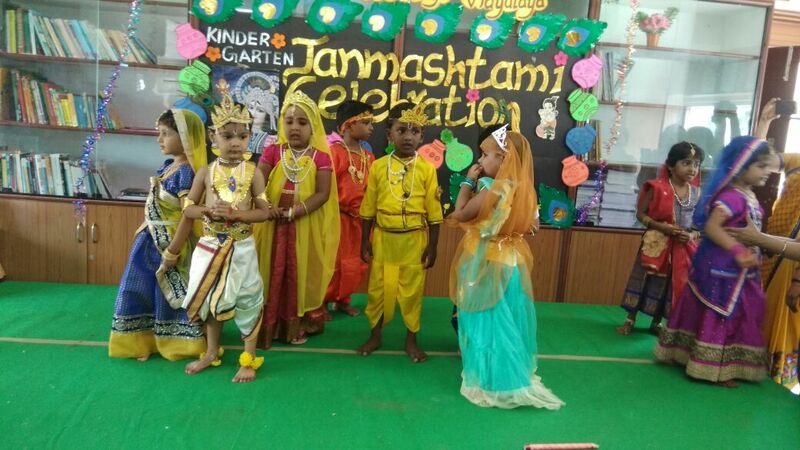 Our little kids participated in a wide range of events with great zeal and fervour. 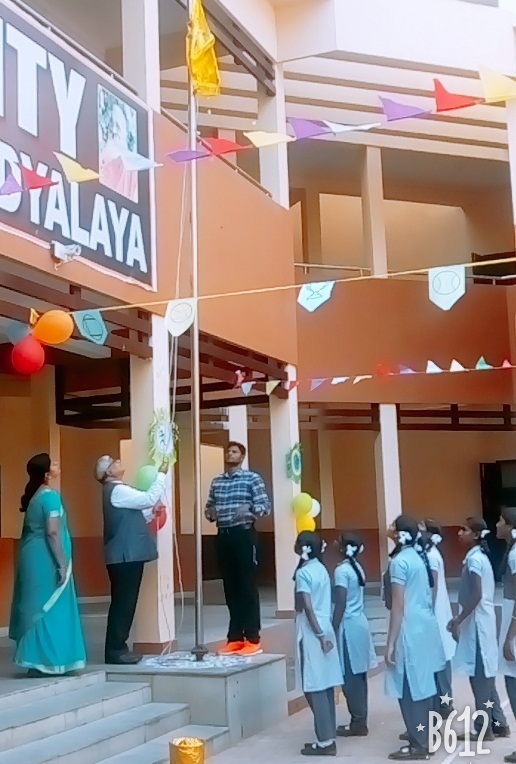 The day started with Flag hoisting by our honourable chief guest “Dr. 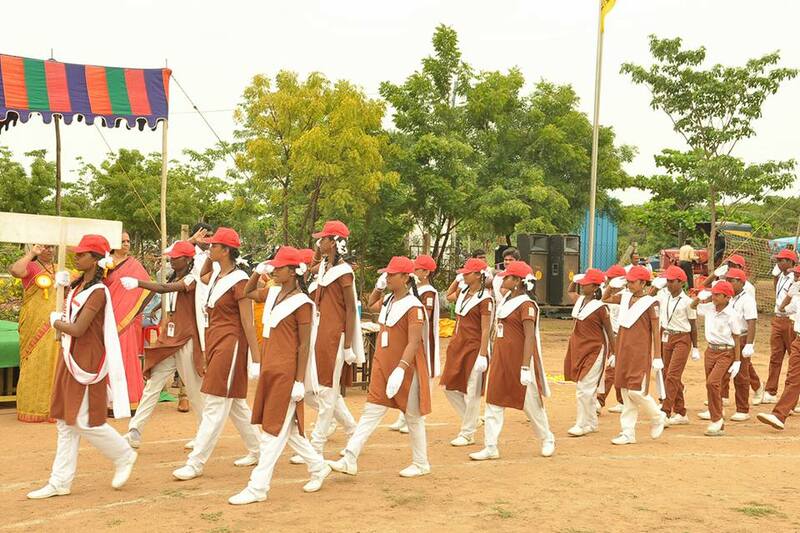 Kamal Ghosh Ray” (Professor IFMR BSchool), and it was followed by March Past by students. 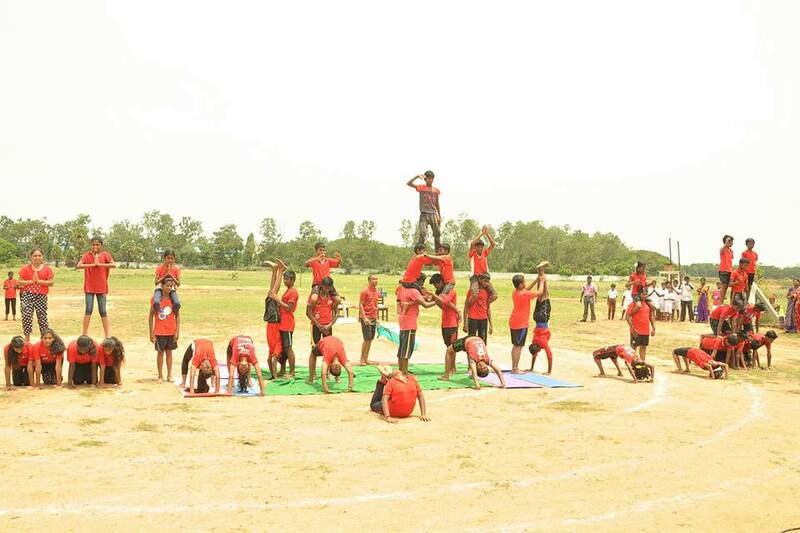 Aerobics and mass drill performed by the tiny tots were a feast to our eyes. 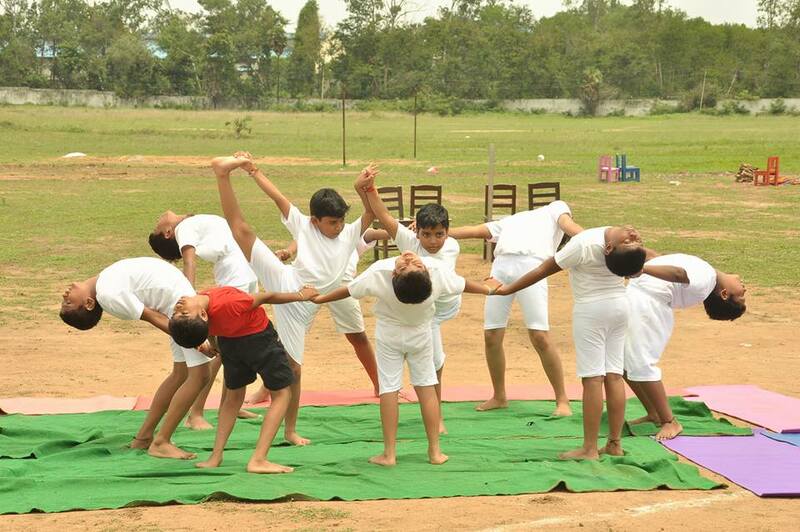 The students entertained the audience with cute yoga postures. 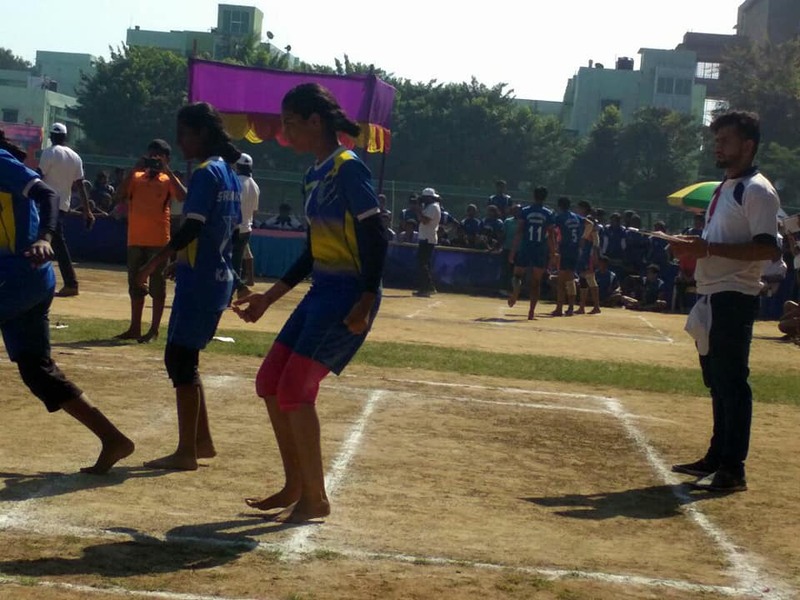 Parents also participated enthusiastically in different games. 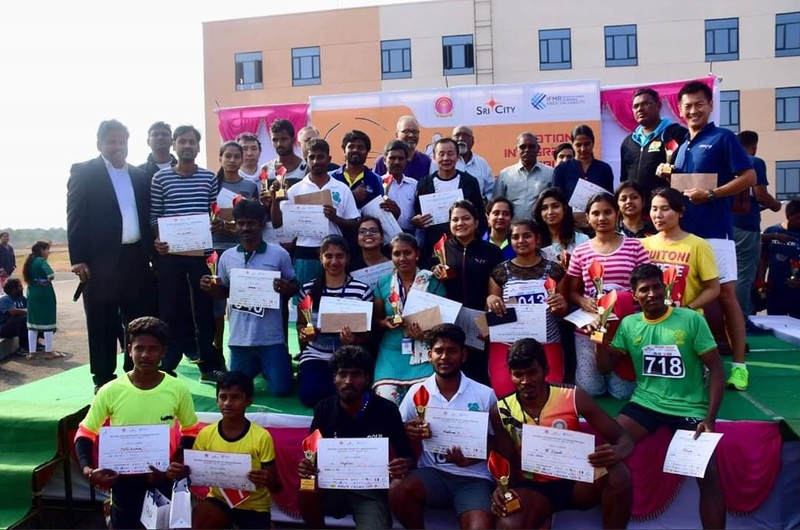 As a part of the Republic day celebrations, “National Integration Sricity Marathon-2019” was organised on 30th January 2019. 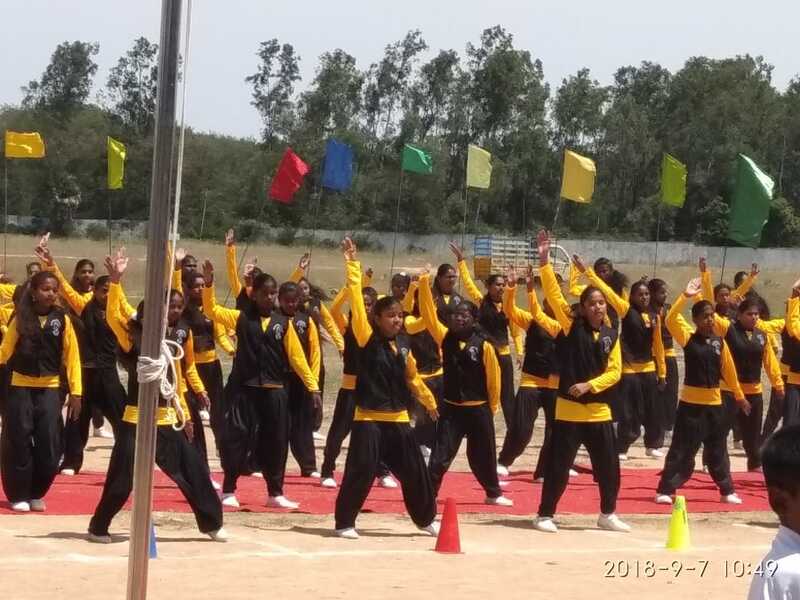 98 students of our Vidyalaya from Class VI to X took part in 5K Run(Under 15 category). 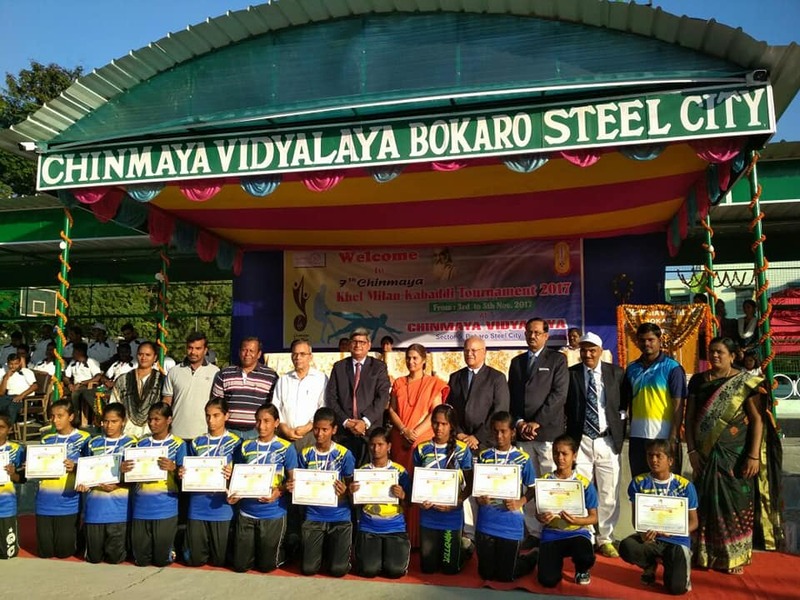 Amongst the participants C. Sharmila of class-IX, N. Jyothi Kumar of class-VIII, M. Indrateja of class IX, stood 1st, 2nd and 3rd. 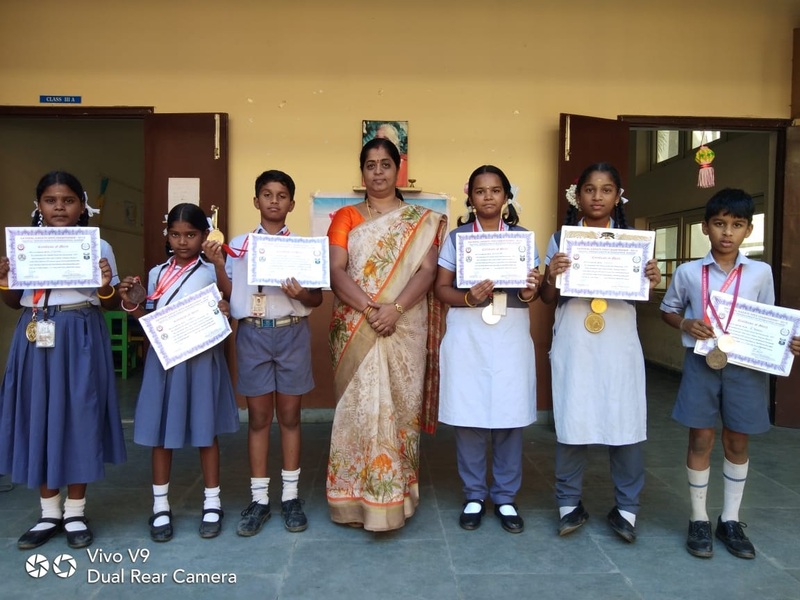 In “NATIONAL KARATE OPEN CHAMPIONSHIP-2019”, Organized by Ksokaai Karate-Do International Academy held on 10th February 2019, The following students got Medals and Certificates under different categories. 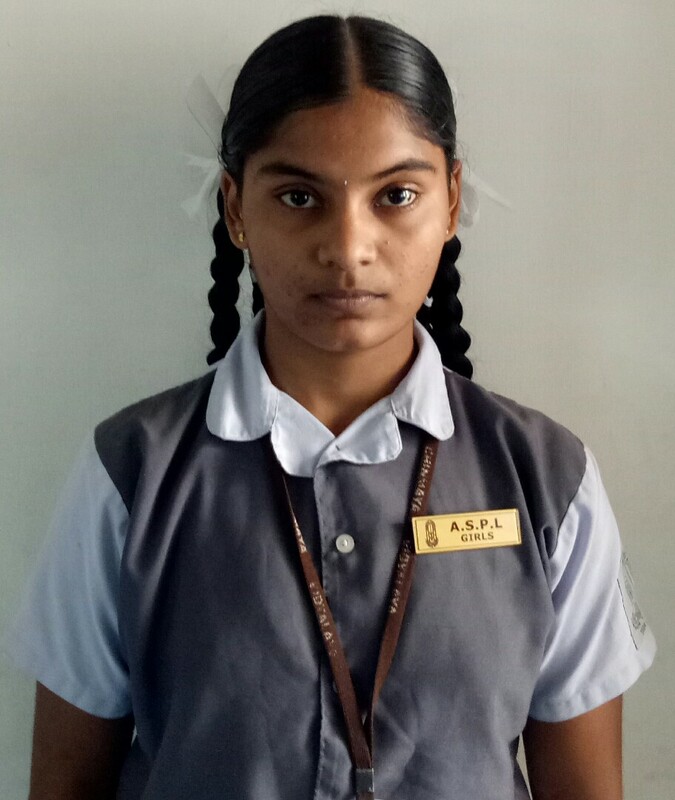 P. Harisha (Class-III) got Bronze Medal. 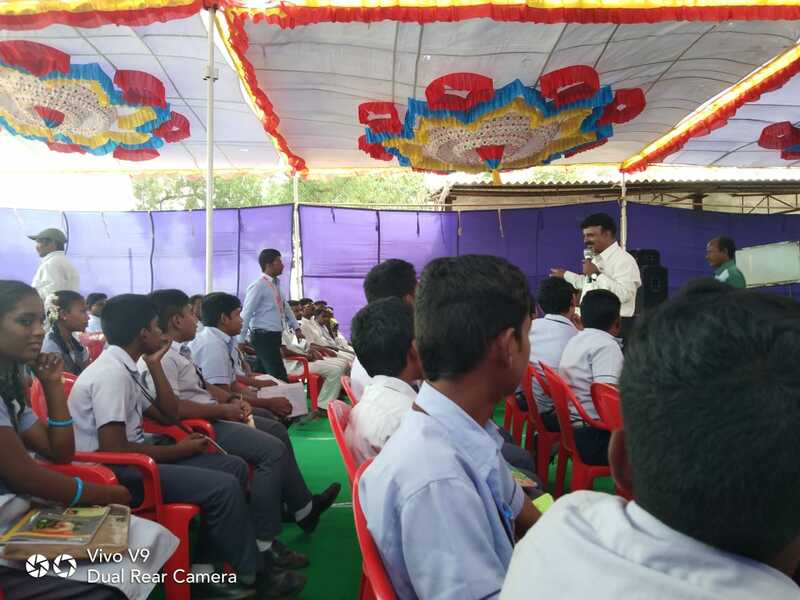 In connection with “30th National road safety week”, Road safety Awareness Program was conducted by Sricity Police Department on 4th February 2019. 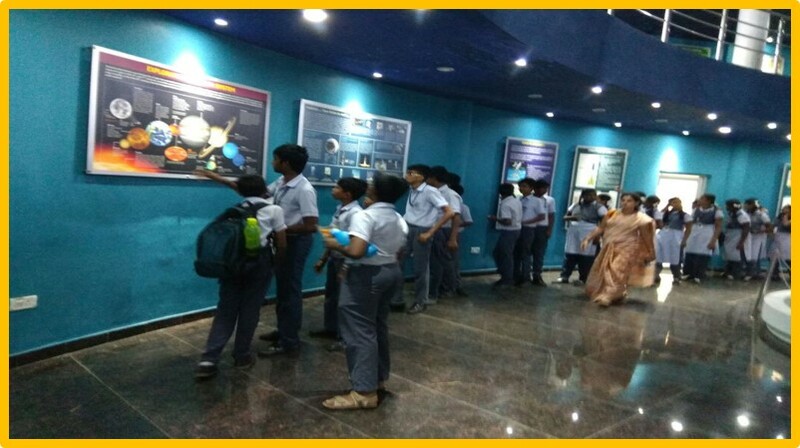 Our students of class VIII and IX escorted by Mrs. K. Kavitha, Mr. Sridhar had attended this Program. 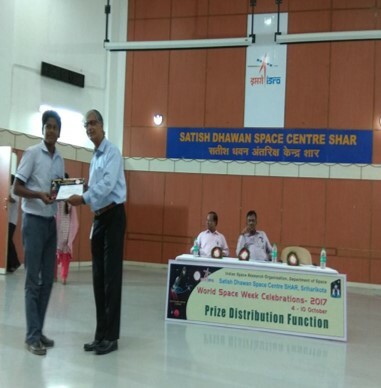 Our students got appreciation from Sricity Traffic Police Department for their active participation. 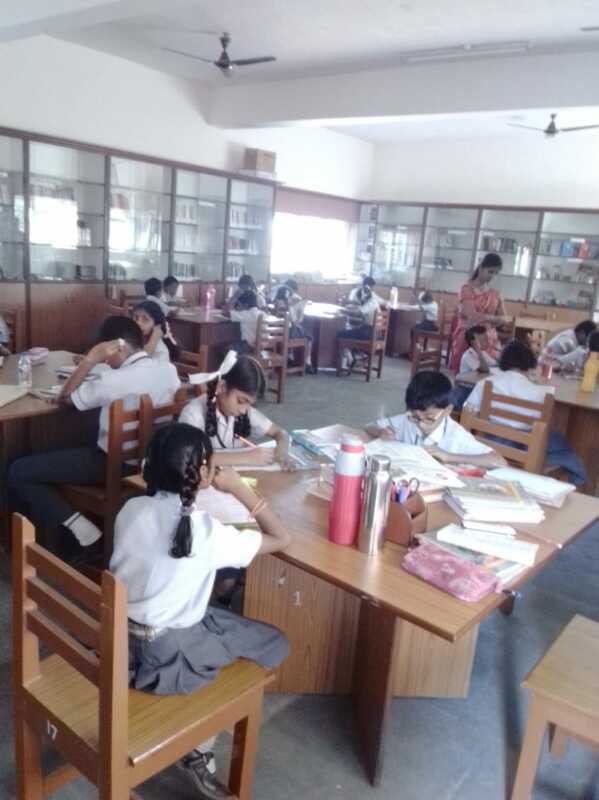 Spell Bee Second Level Exam was conducted for 27 students on 9th of January, 2019. 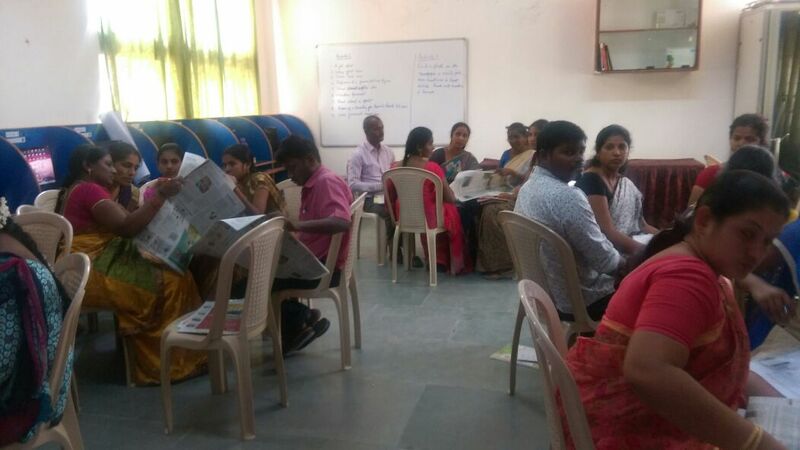 The exam was conducted under the invigilation of Spell Bee International team. 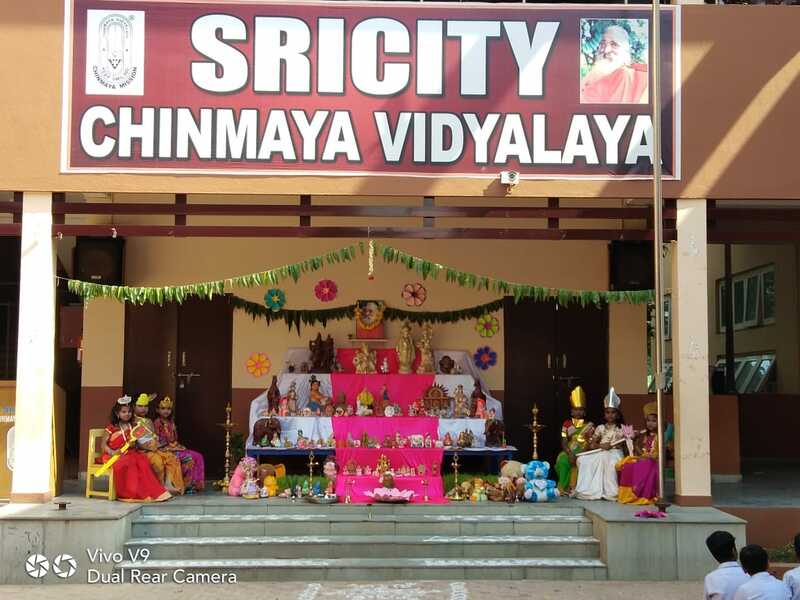 The entire premises of Sricity Chinmaya Vidyalaya, Sricity was literally submerged in festive mood on 11th of January. 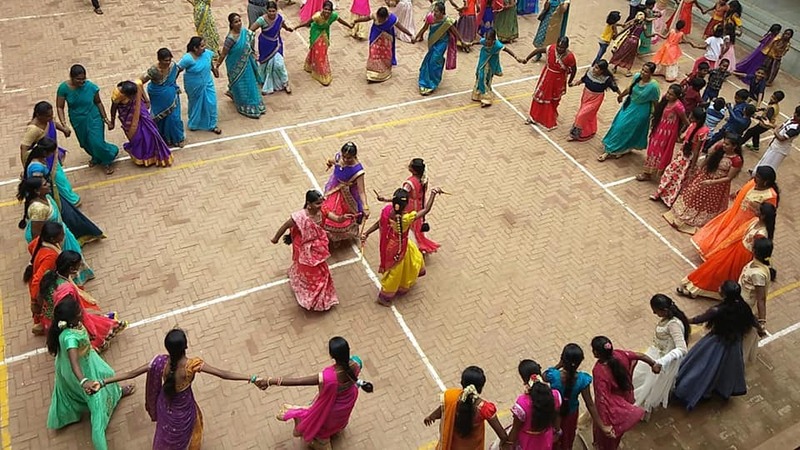 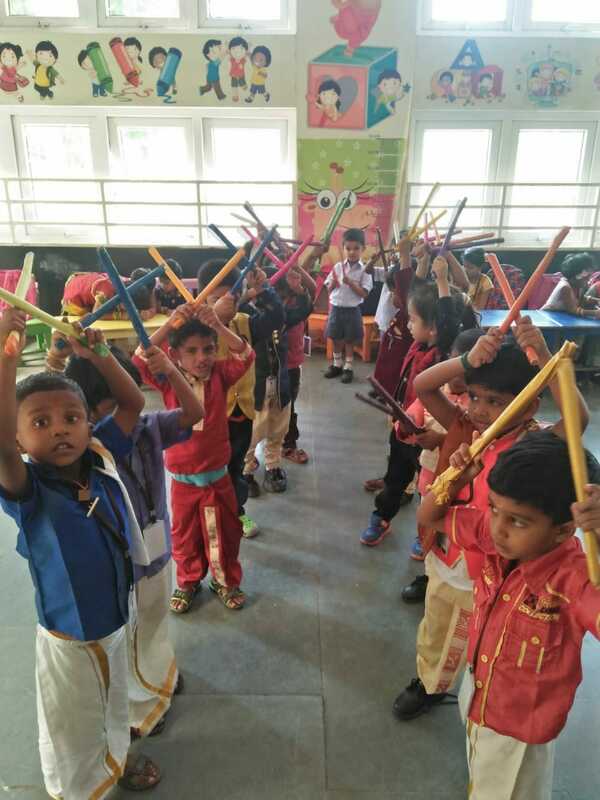 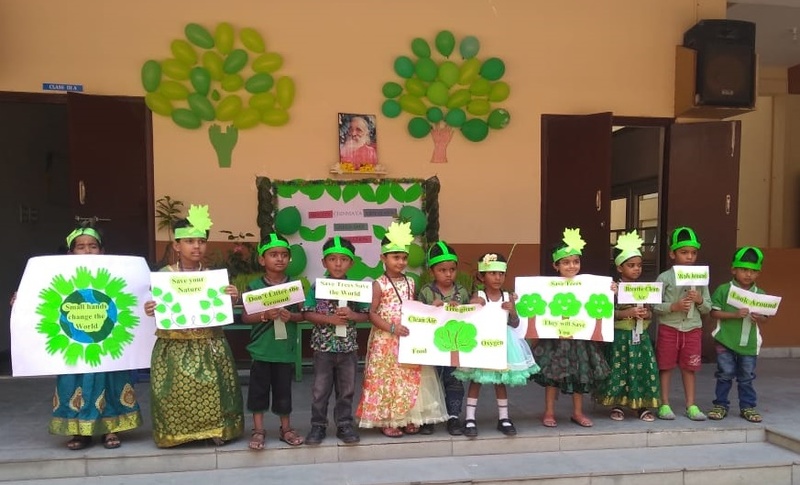 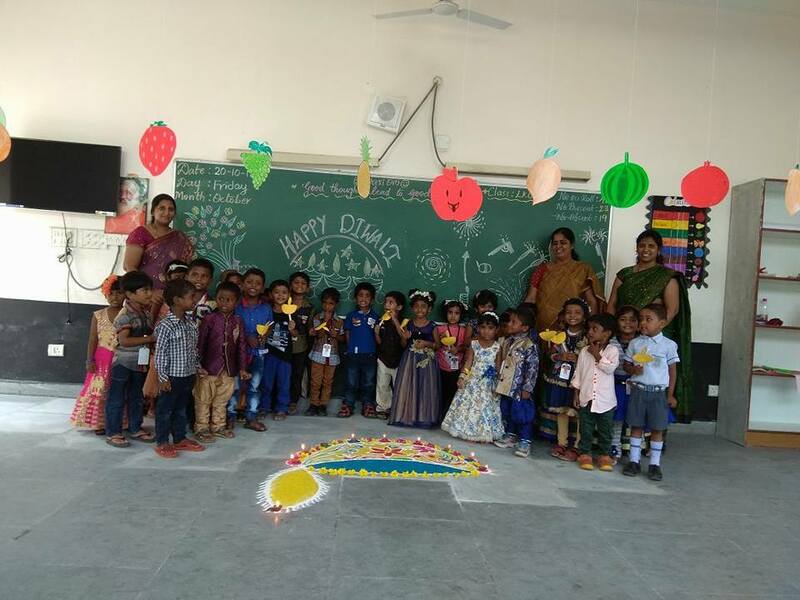 KG students had created village atmosphere and the students of Class VI-X celebrated Pongal with much enthusiasm and traditional fervour, with the customary sugarcane, flowers, a range of fruits, vegetables, beautiful ‘kolam’ and special Pongal dance. 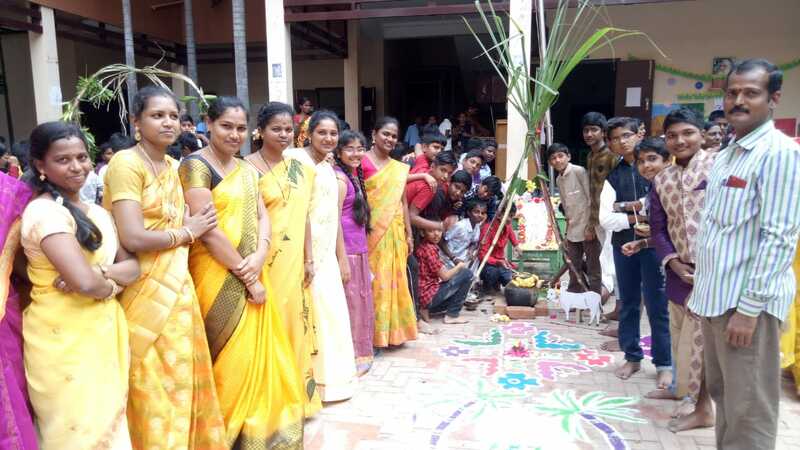 The celebrationended with Aarthi. 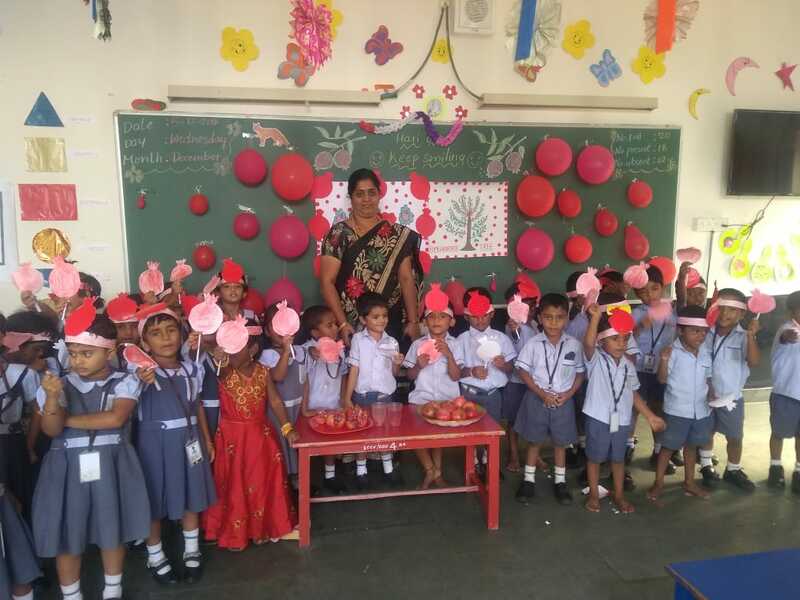 Pomegranate Day was celebrated in our vidyalaya on 5th December with great enthusiasm by our kindergarten children. 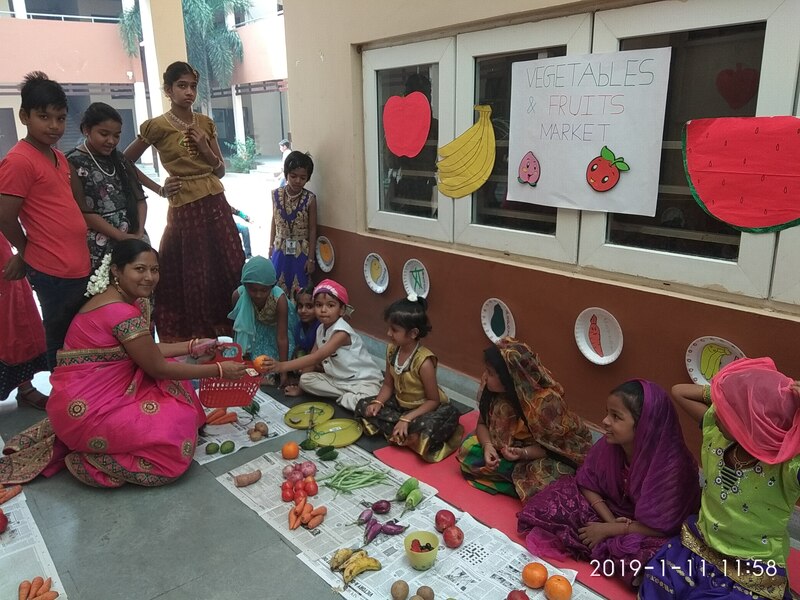 To bring awareness on the benefits of fruits those are rich in vitamins. 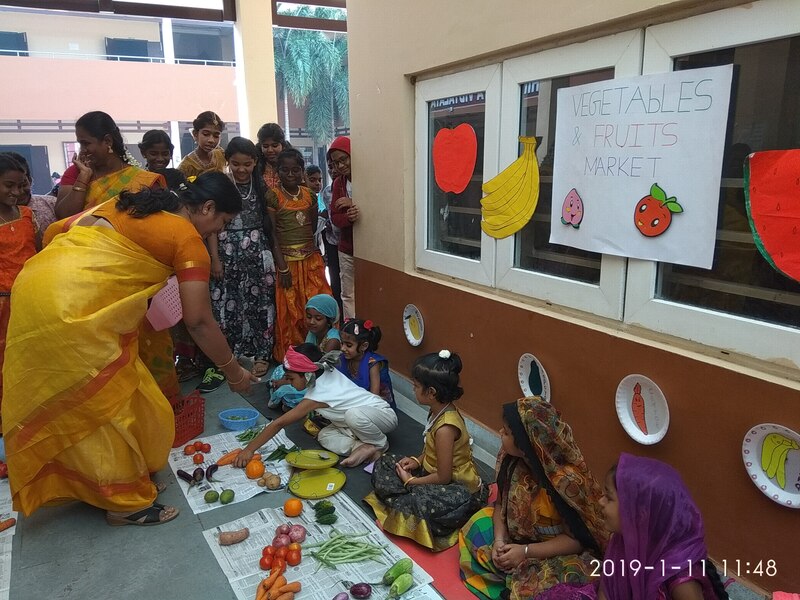 Children spoke about the fruit- it’s shape,taste and colour and why they like it , and also shared the fruit with their classmates. 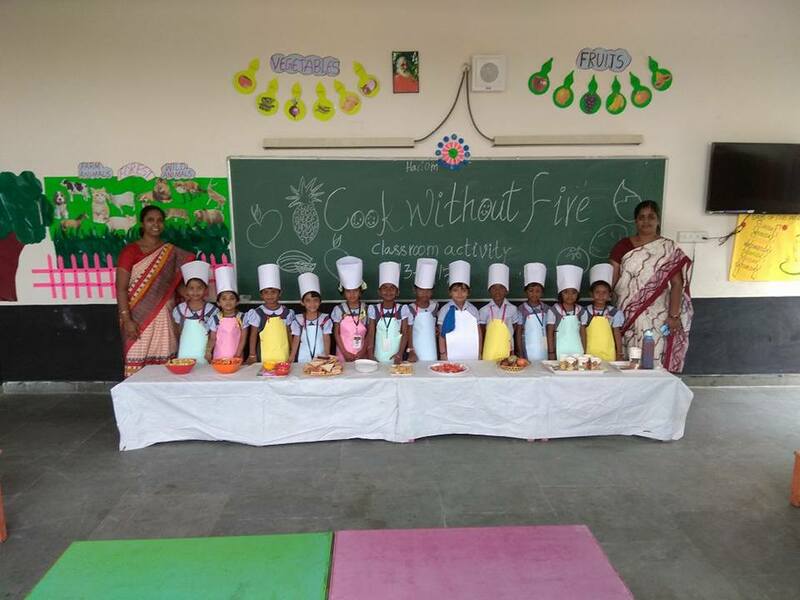 Cooking without fire was organised by KG department with Kindergarten Children on 2nd December. 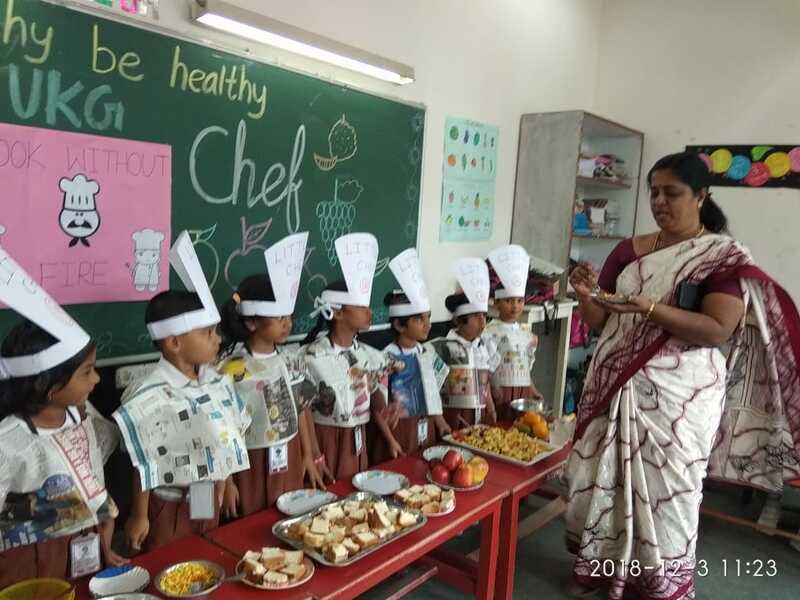 Our little chefs have prepared so many varieties of healthy dishes like fruit salad, sandwich, bhel puri and served it to their friends. 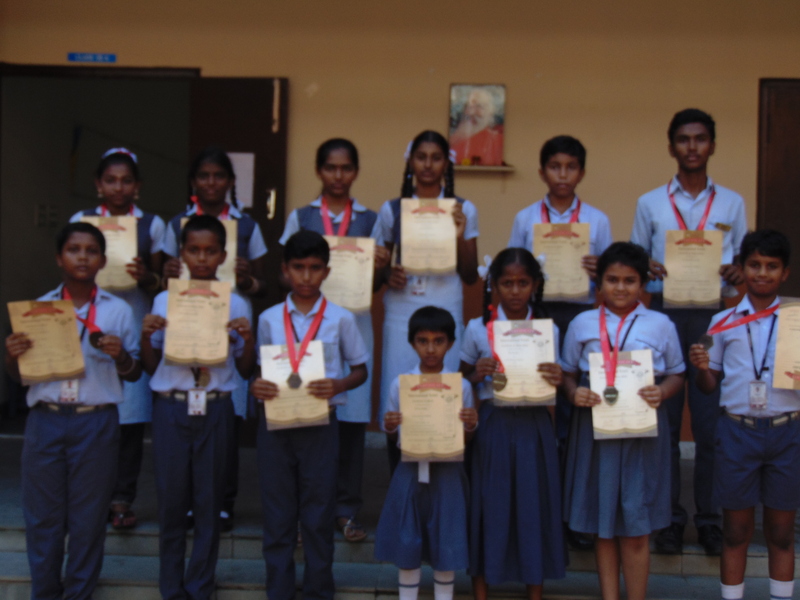 In Spell Bee International Competition our students secured Merit Plus and Merit certificates along with medals. 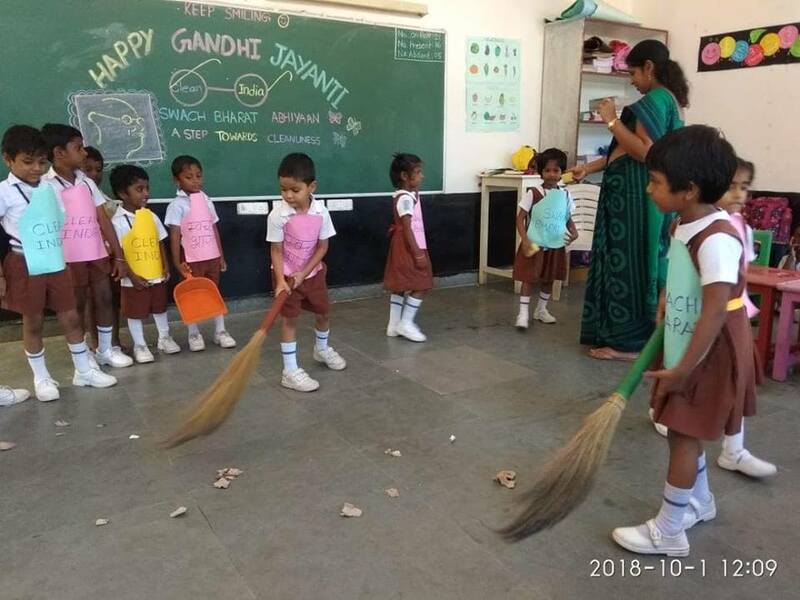 Gandhi Jayanthi was celebrated on 1st October 2018, in our vidyalaya. 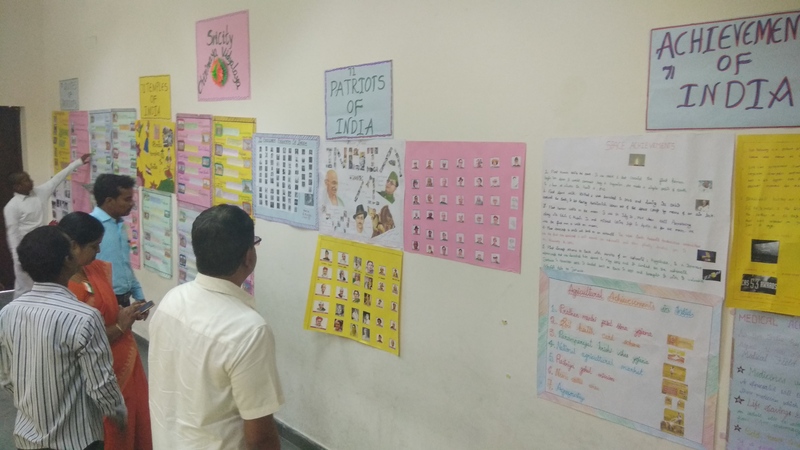 The morning assembly started with a word of prayer followed by hoisting the National Flag, the students saluted the National flag and took the pledge. 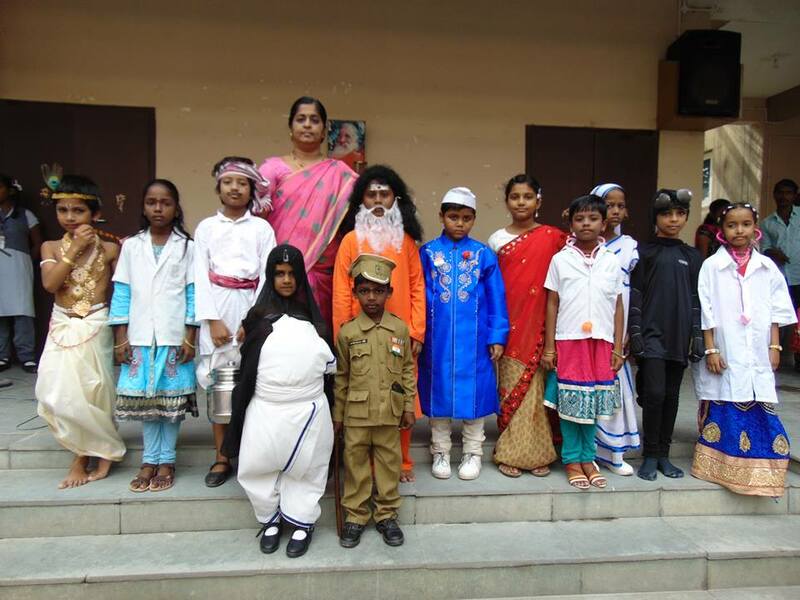 Some students were dressed up as Mahatma Gandhiji, Indira Gandhi and Jawahar Lal Nehru. 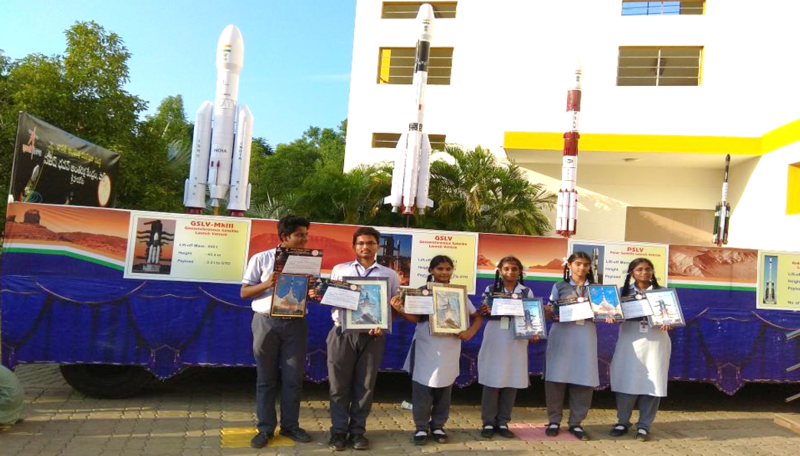 The assembly concluded with a few inspirational speeches by our students. 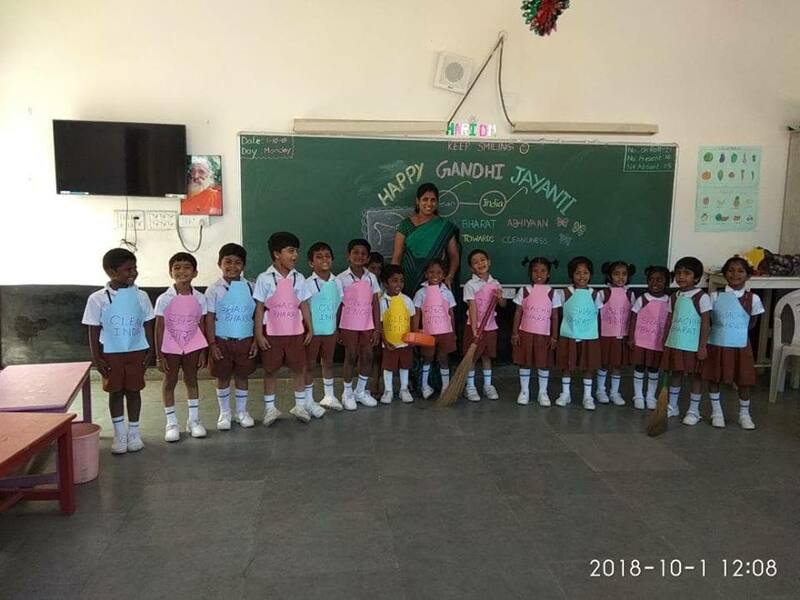 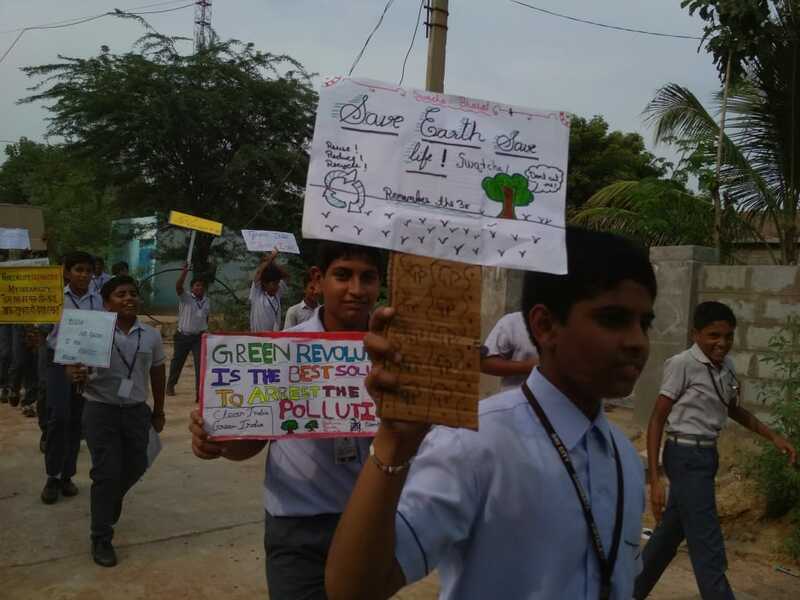 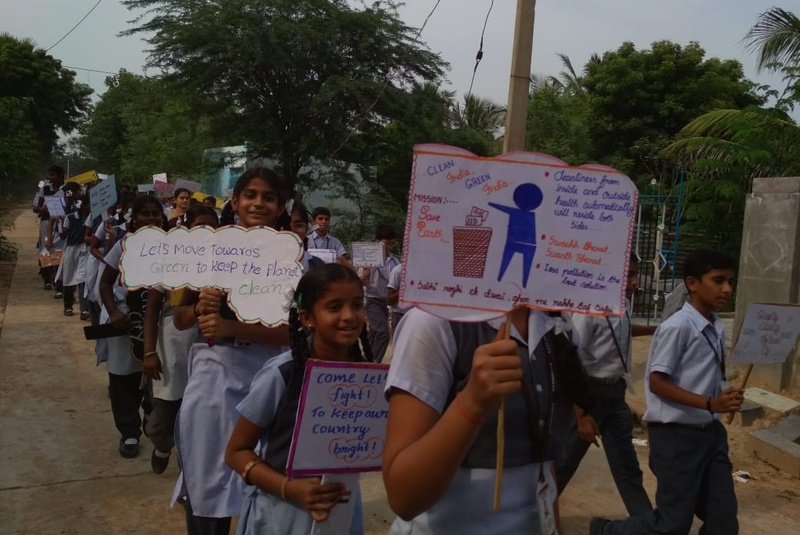 In connection with the 150th birth anniversary of Mahatma Gandhiji our school has planned various activities for one full year. 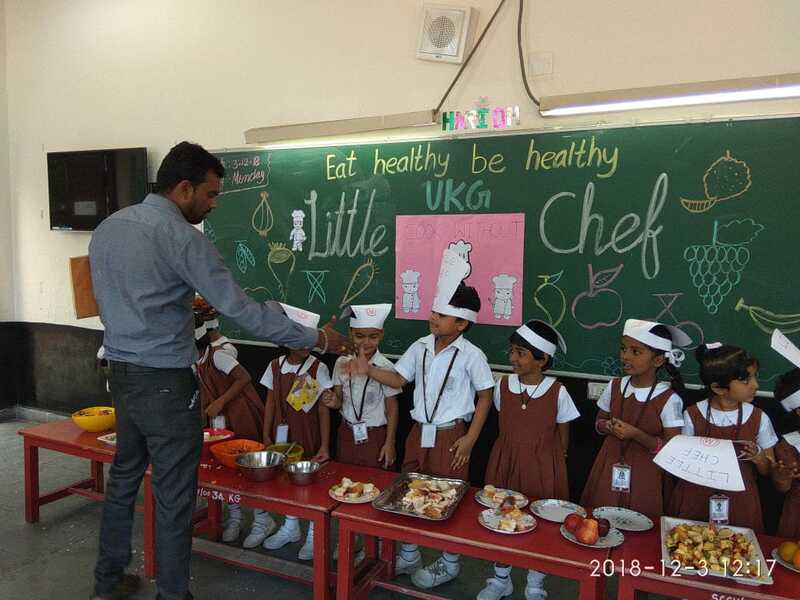 We started off with our KG kids cleaning their classrooms wearing disposable aprons. 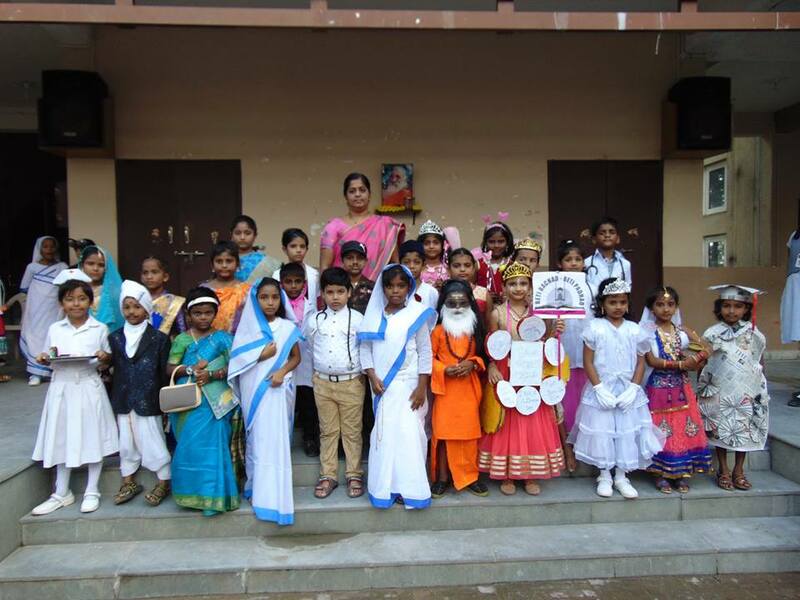 Children of Classes VIII, IX and X were shown "Gandhi 1982" movie. 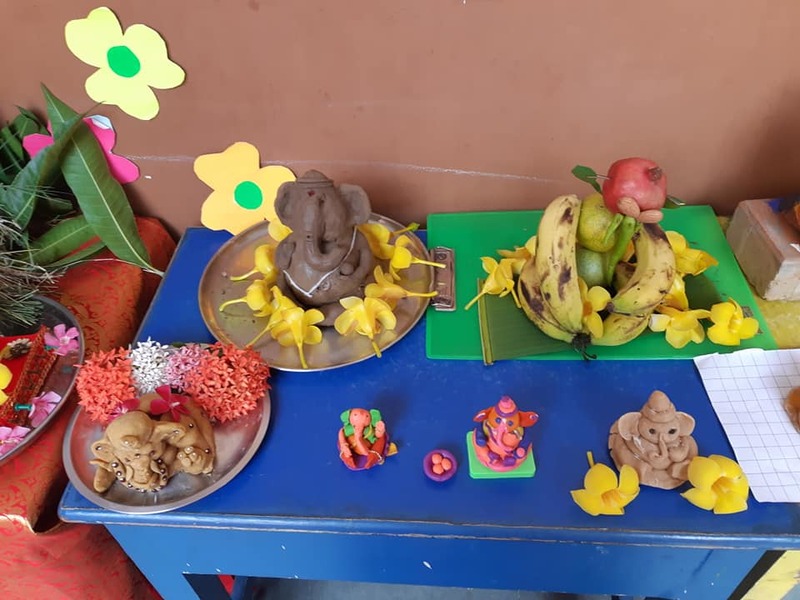 Ganesh chathurthi celebrations at our premises........Children enjoyed creating different idols of Ganesha with eco friendly stuff. 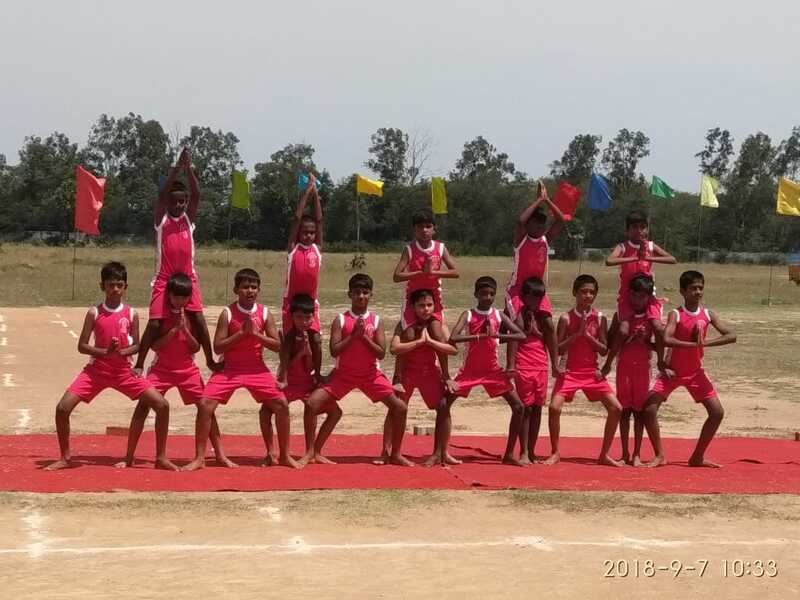 5th Annual Sports Meet was celebrated in our Vidyalaya on 7th September'2018. 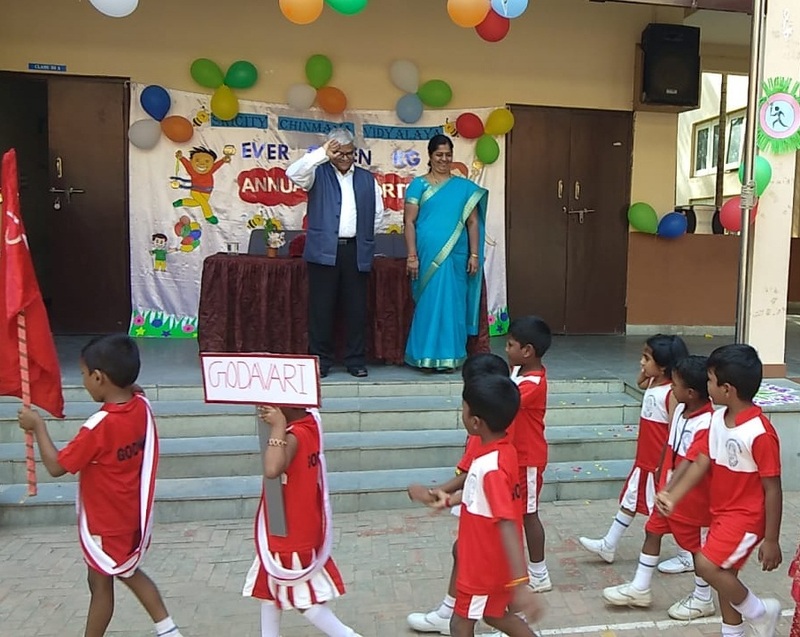 Dr.Kamala Kannan, Co-Founder &CEO,Next Generation Sports Consultancy has kindly inaugurated the meet and distributed the prizes.Sweat, determination and consistent practice brought prizes and recognition to most of our students. 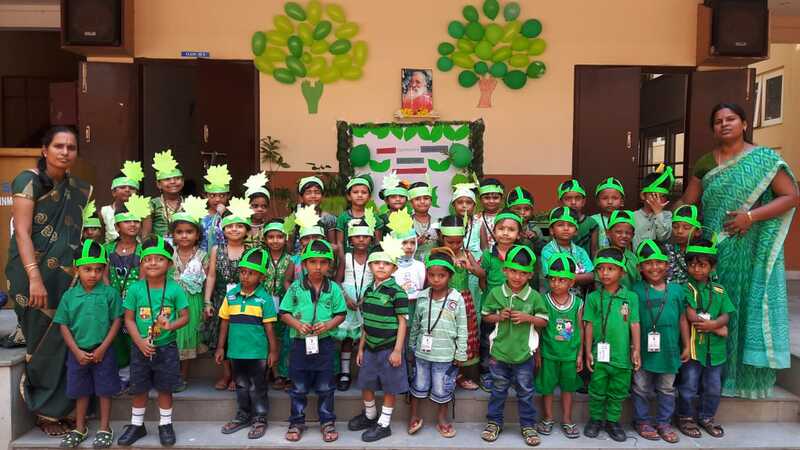 The event was a grand success. 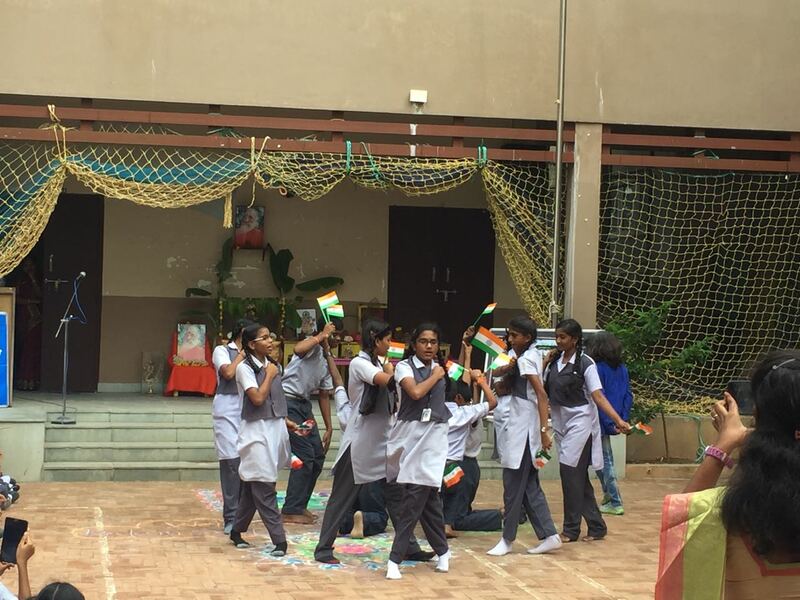 Independence Day was celebrated with great enthusiasm and patriotic fervor on 15th August, 2018 in our vidyalaya. 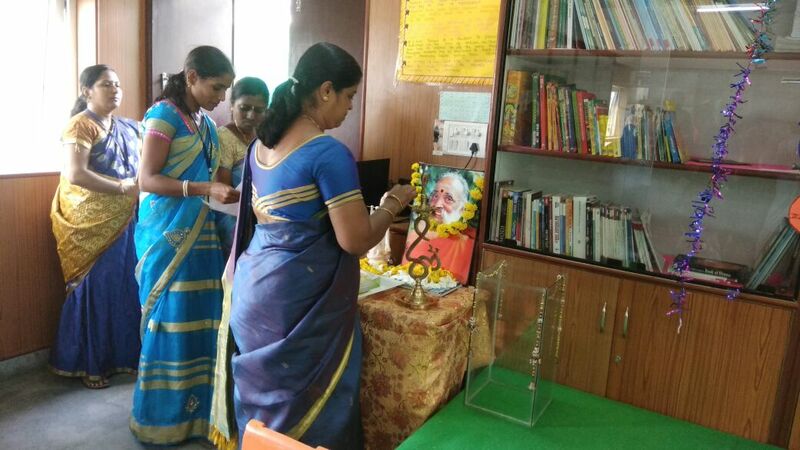 On this special occasion, the programme started with flag hoisting by the Principal Smt.Hemalatha Kathiravan. 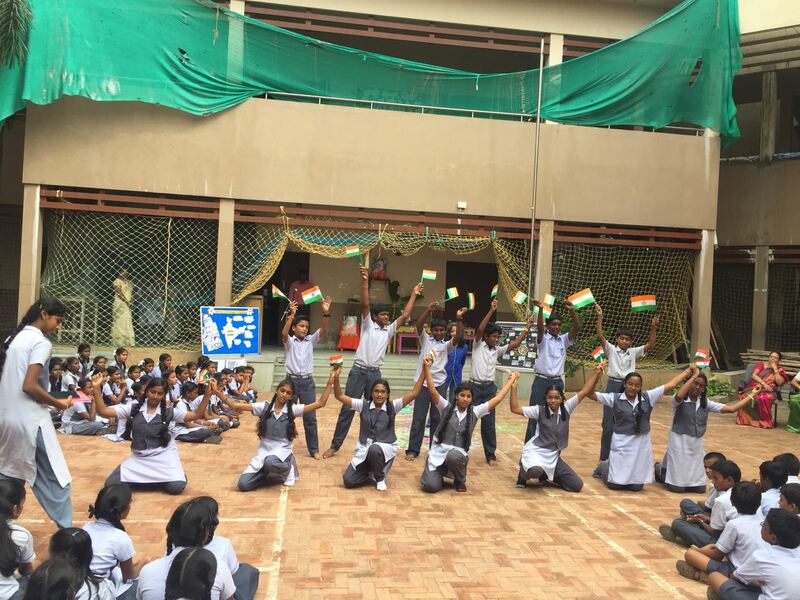 Students participated by singing patriotic songs. 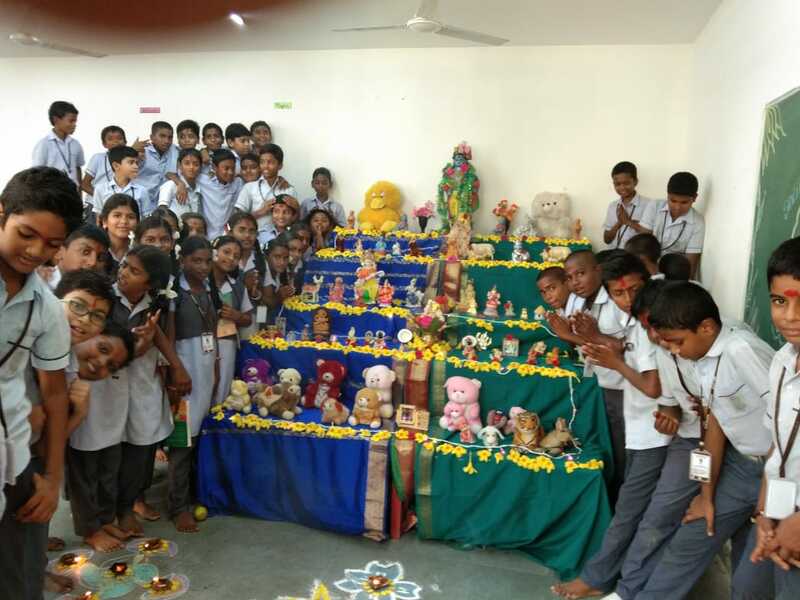 On 11th August 2018, Mahamandala pooja was performed for our Sri chinmaya Vidyaa Ganapathi. 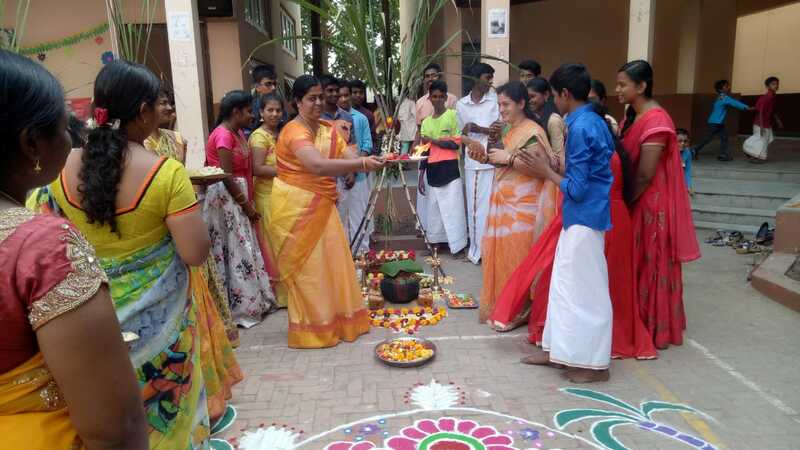 The ritual was performed with great devotion to invoke his blessings. 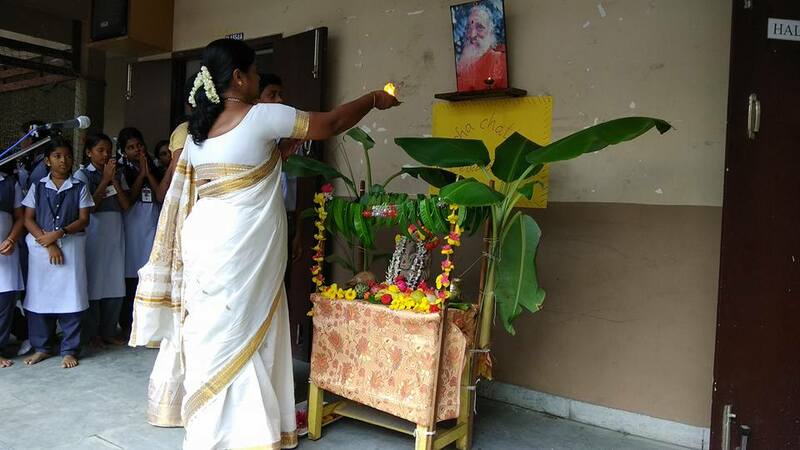 The 25th Maha Aradhana Day was observed on 3rd August,2018 in our vidyalaya by performing pooja in a grand manner to our Pujya Gurudev H.H.Swami Chinmayananda. 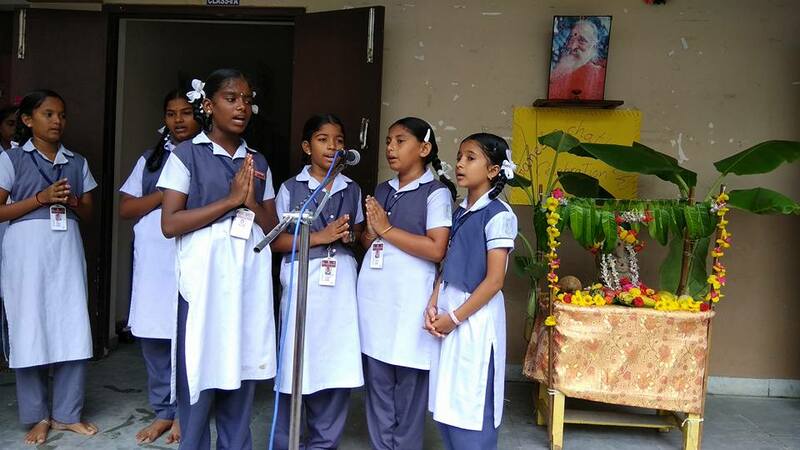 The morning assembly commenced with the Invocation song sung by the School Choir. 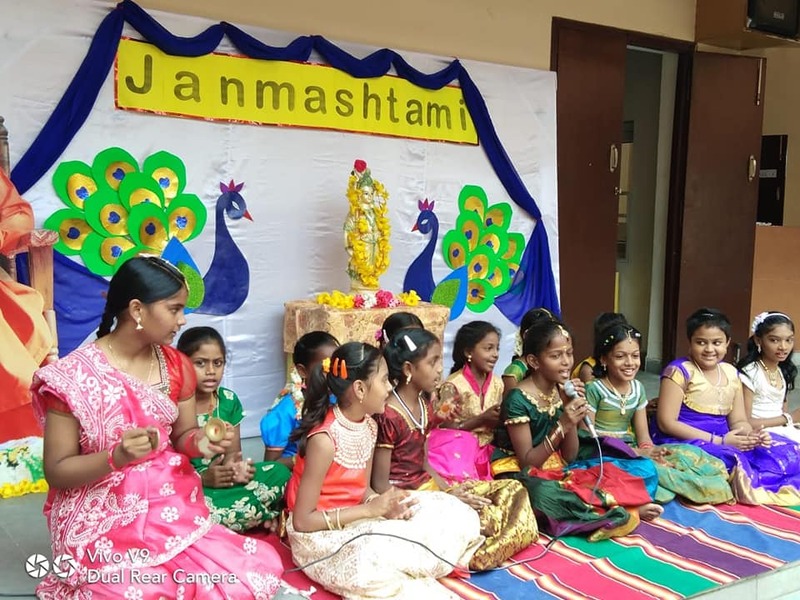 All the students and staff of our Vidyalaya sang the Gita Dhyanam and recited Bhagawat Gita Chapter 18 with full devotion. 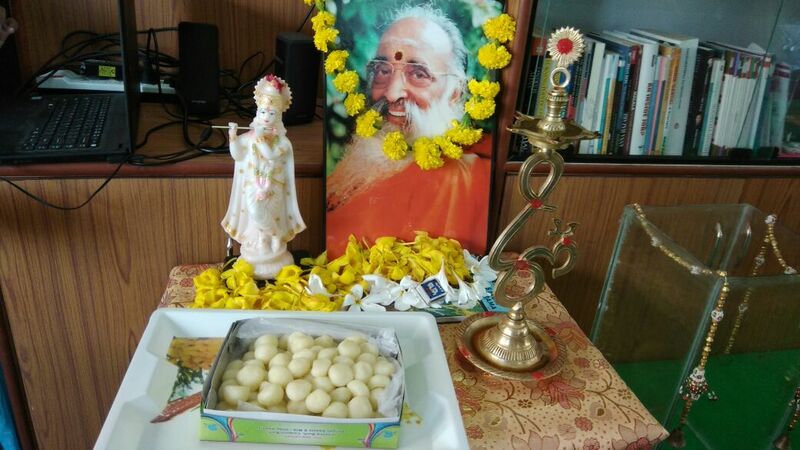 This was followed by an Aarti offering to Pujya Gurudev invoking his blessings. 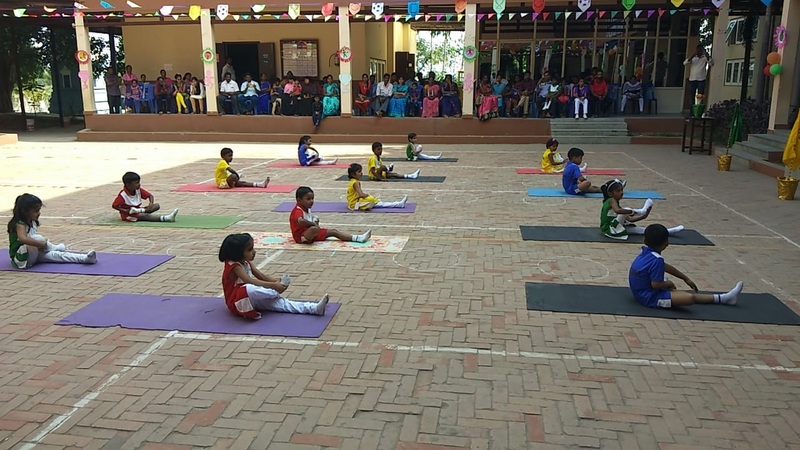 Various programs were planned as a tribute to our Gurudev.Parents were invited to attend and involve in the programs viz. 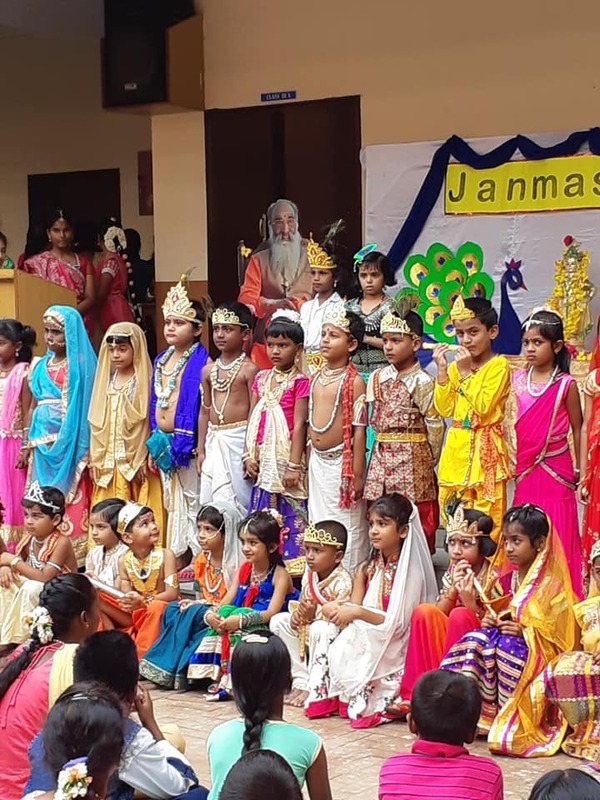 Tableau on Gurudev’s life by Class IV & V, Paduka Pooja by Class VI, Relay Yagna by Class VII, Essence of Gita by Class VIII, Skit on Gurudev’s life by Class IX & X. 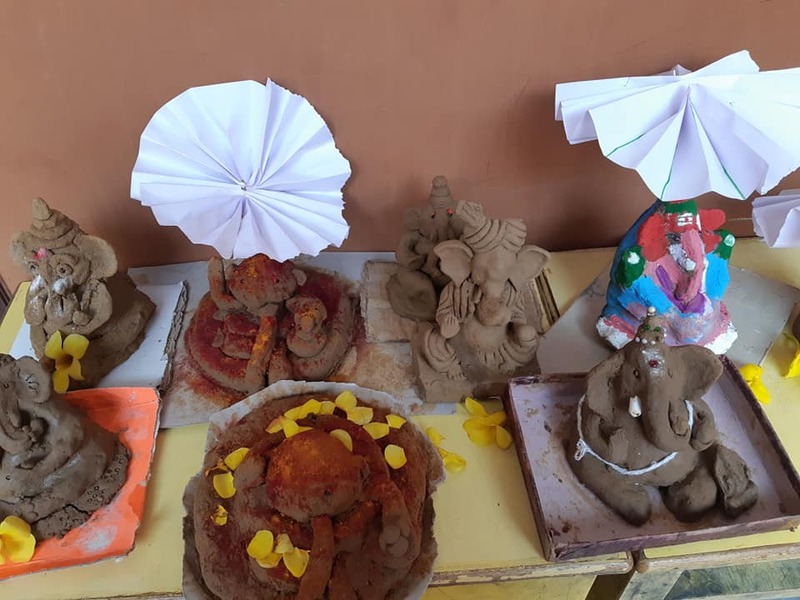 On 27th July ’18, we observed the auspicious day of Guru Purnima with great reverence and devotion. 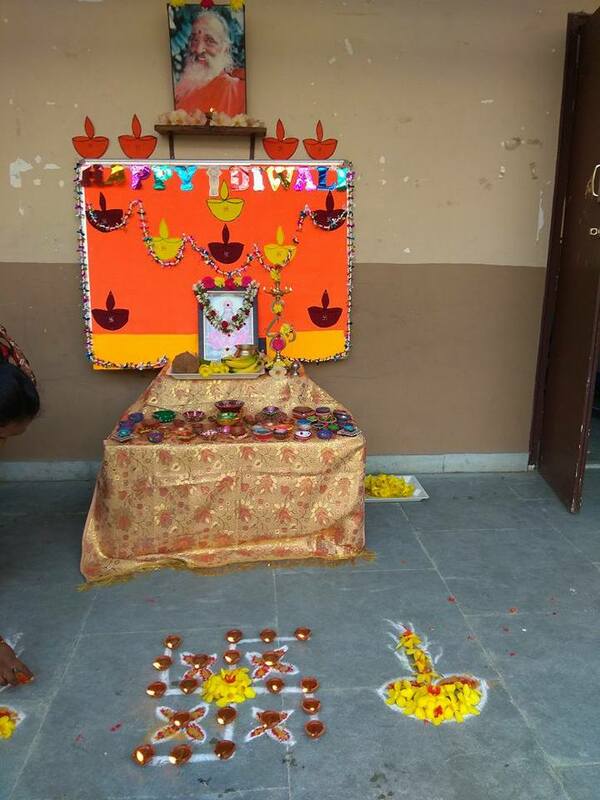 A special assembly was conducted in our vidyalaya, marked by the floral tribute to our poojya Gurudev Swami Chinmayananda in ritualistic respect of guru puja. 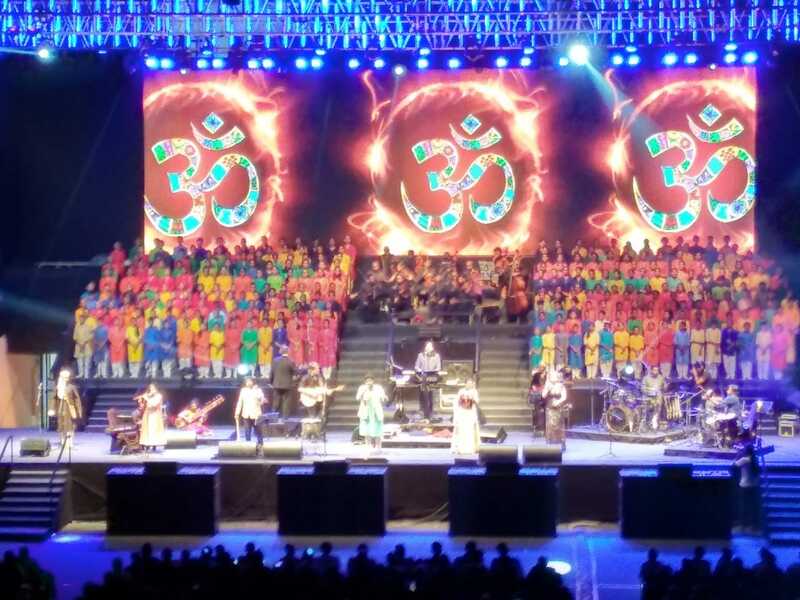 The program started with the Ashtotaram followed by slokas, dance and bhajans. 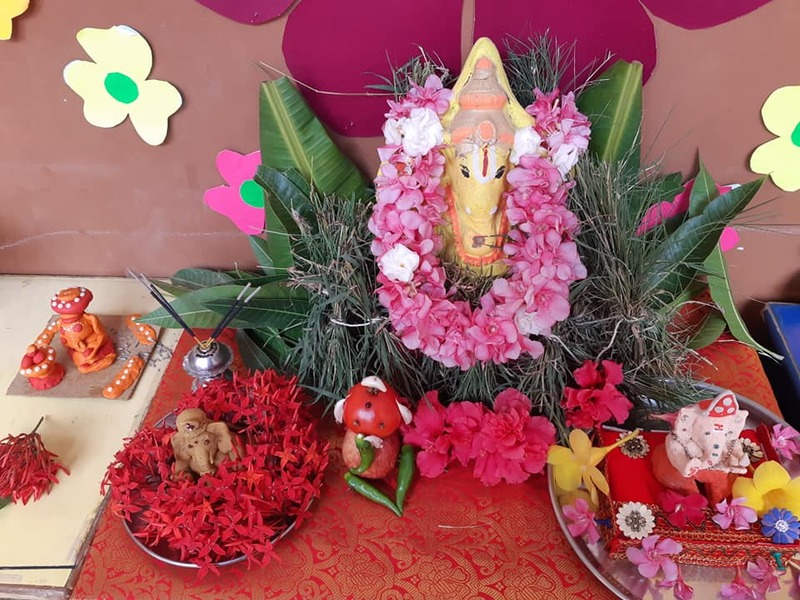 Lord Ganesh (Ganapathi) is also known as Vinayaka (bestower of knowledge) and Vigneshwara (remover of obstacles). 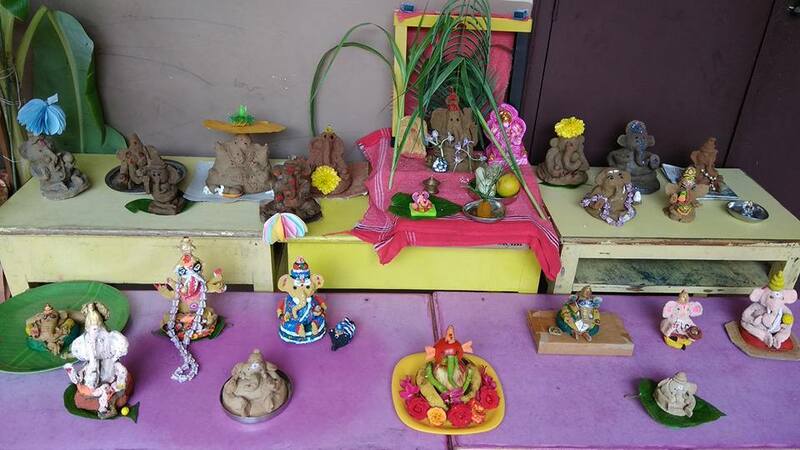 He is worshipped before starting any important task and is believed to bring good luck and prosperity. 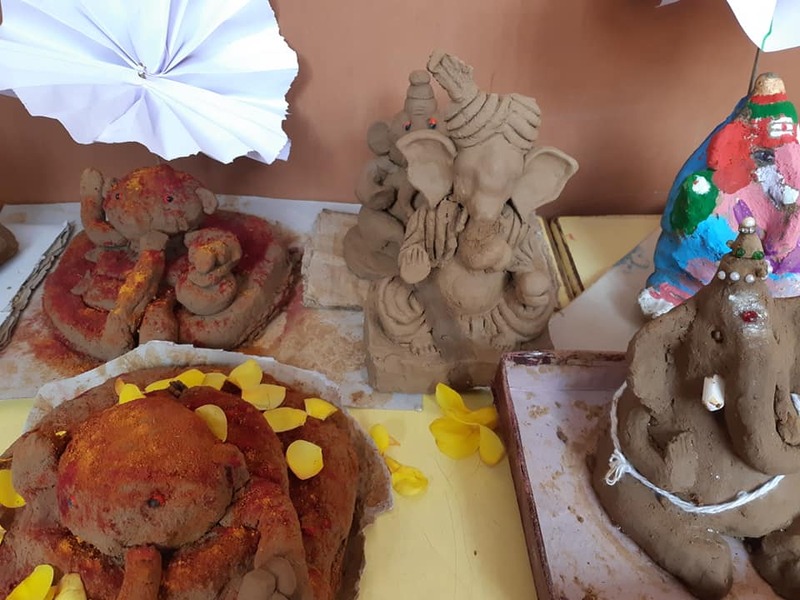 As per this thought, we built a Ganesha temple at our Vidyalaya and performed Kumbabishekam on 24th June'2018. 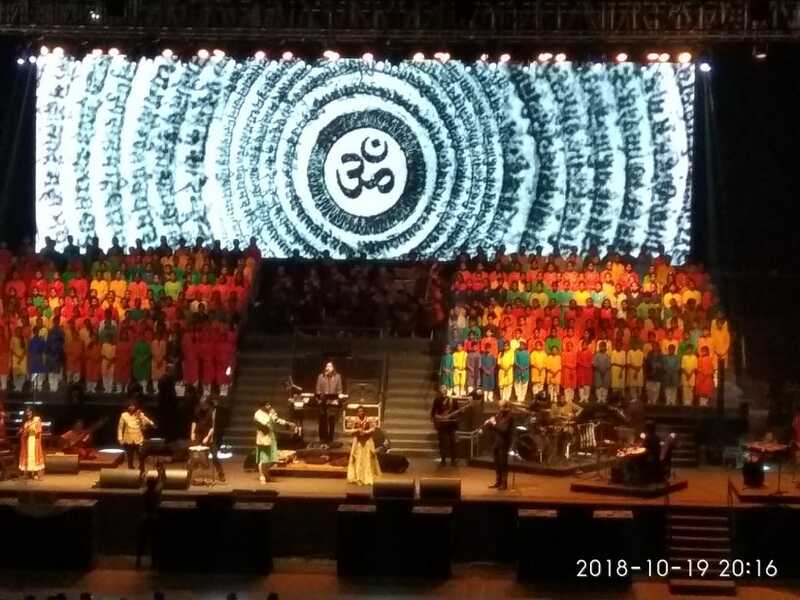 The ritual was performed well with the gracious presence of H.H.Swami Mitranandaji, Acharya , Chinmaya Mission, Chennai, Shri. 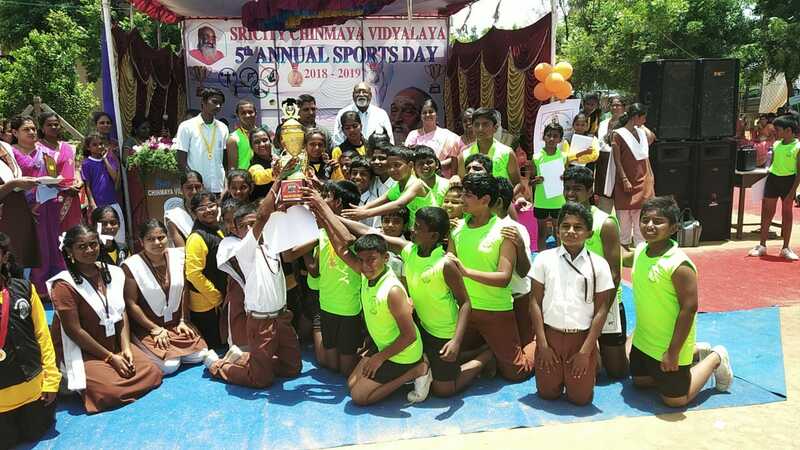 Prof. S.P.THIAGARAJAN, Chairman,Smt.V.Jayanthi, Chinmaya Mission, President,Shri. 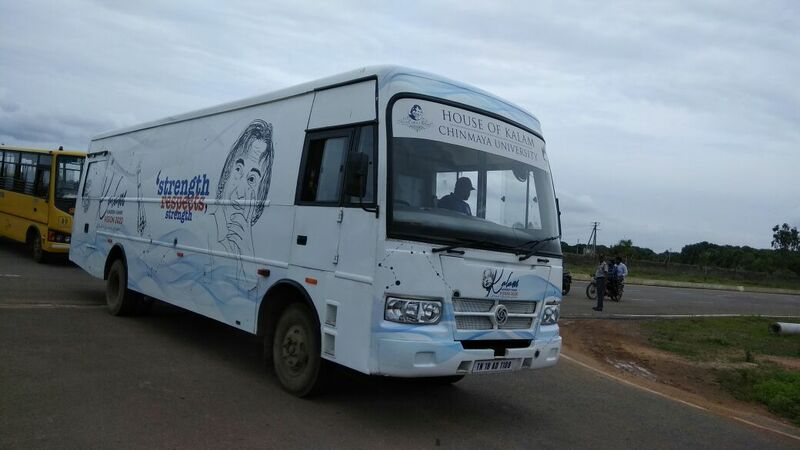 O.V.NAMBIAR, Zonal Director CCMTEC, Shri. 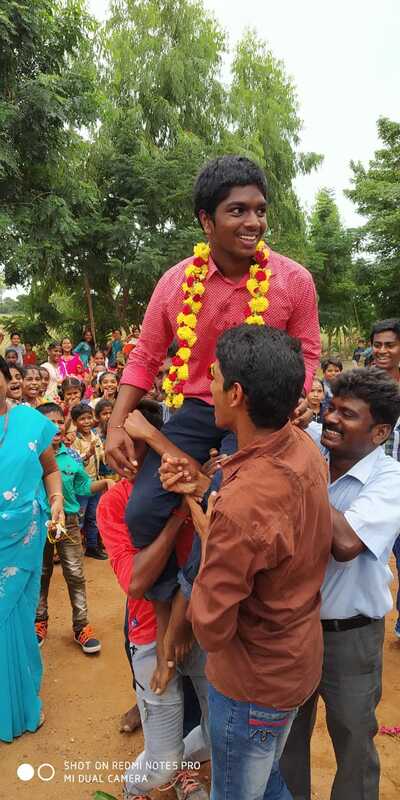 RAJKUMAR DEVARAJAN, MCST Chief Sevak, MCST Chief Sevak,Hony. 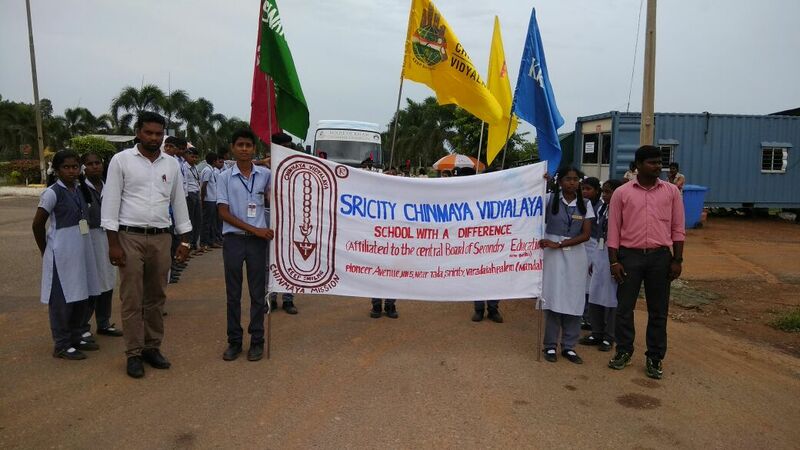 Correspondent, VGN Chinmaya Vidyalaya, Smt. 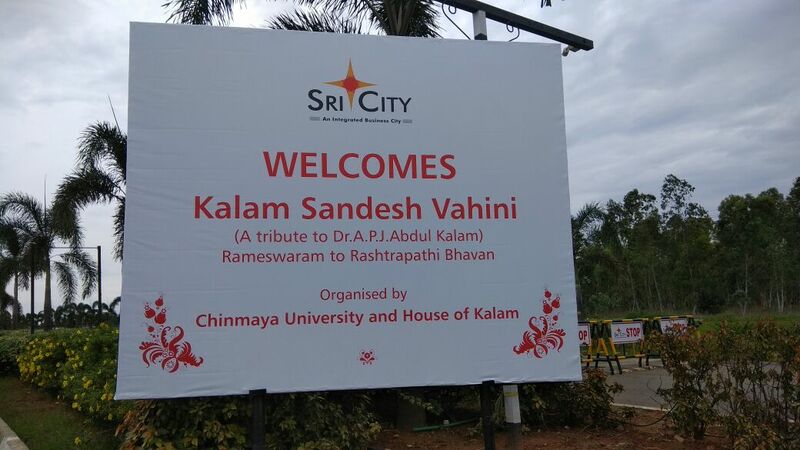 Kamala, Smt.V.Jayanthi,President, Chinmaya Mission,Chennai, Shri.SATHIYAMOORTHY.C, Director Chinmaya Vidyalayas, Shri. 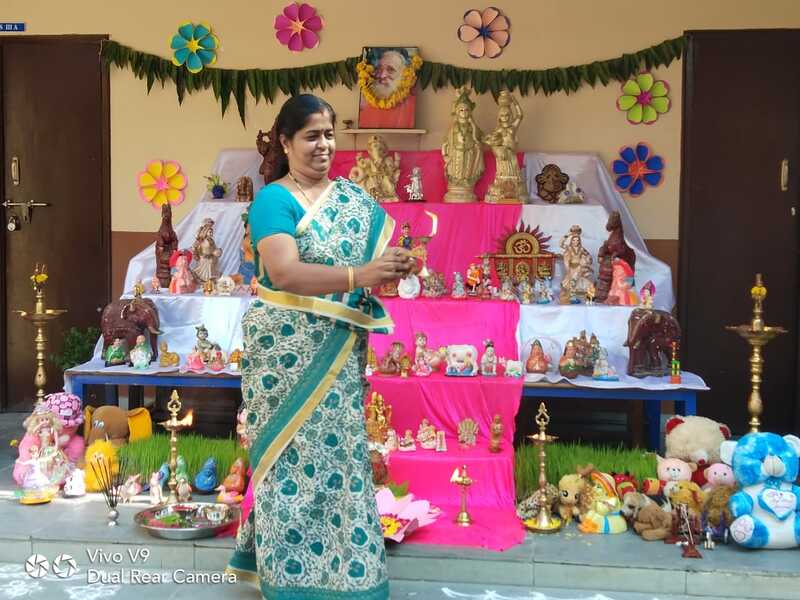 N.NAGARAJAN, Hony.Correspondent(Chinmaya Vidyalaya Chinmaya Nagar), Smt. 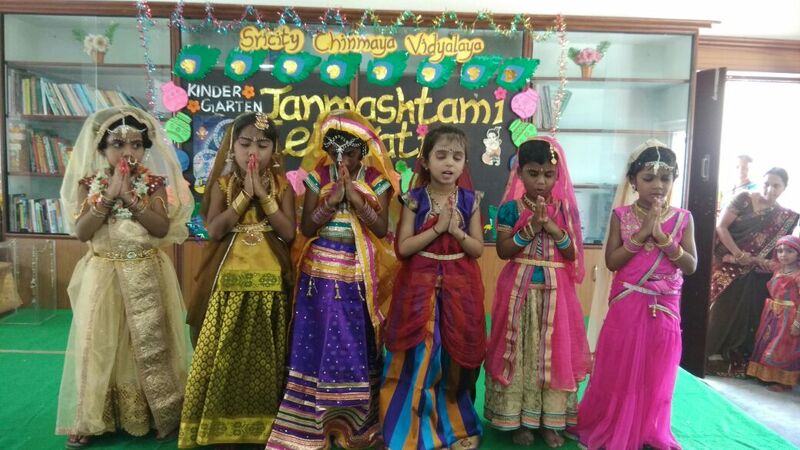 UMA KALYAN, Hony.Correspondent(Sricity Chinmaya Vidyalaya), Ms. PRIYA, Hony.Correspondent(Harihara School,Tamaraipakkam), Shri.V.DAMODARAN,Smt.Deepa Nambiar ,Shri.ARUNACHALAM,Parents , Children and other dignitaries Our Sri Chinmaya Vidyaa Ganapati has been consecrated and is now in his shrines - ready for prayers, blessings, and pujas. 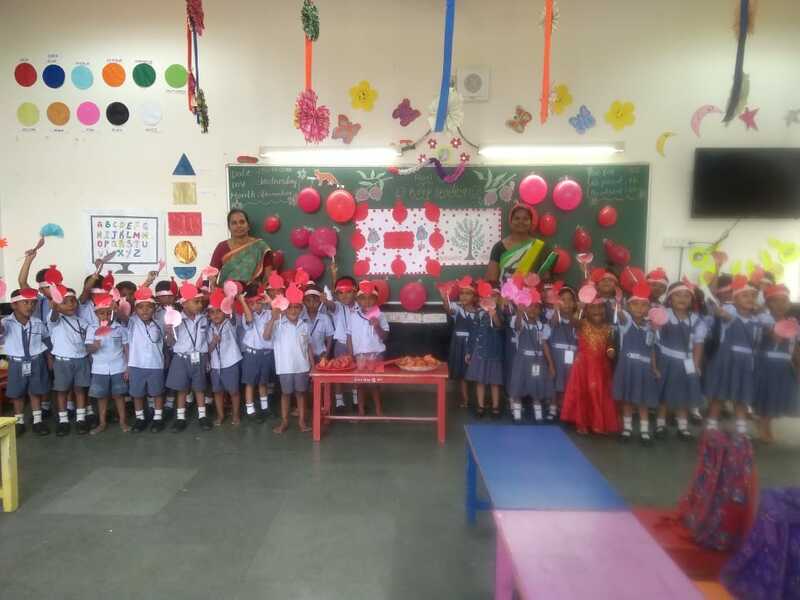 Smt.Vimala Kumari, Deputy Superintendent of Police, Sricity visited our vidyalaya to bring awareness on Child Sexual Abuse. 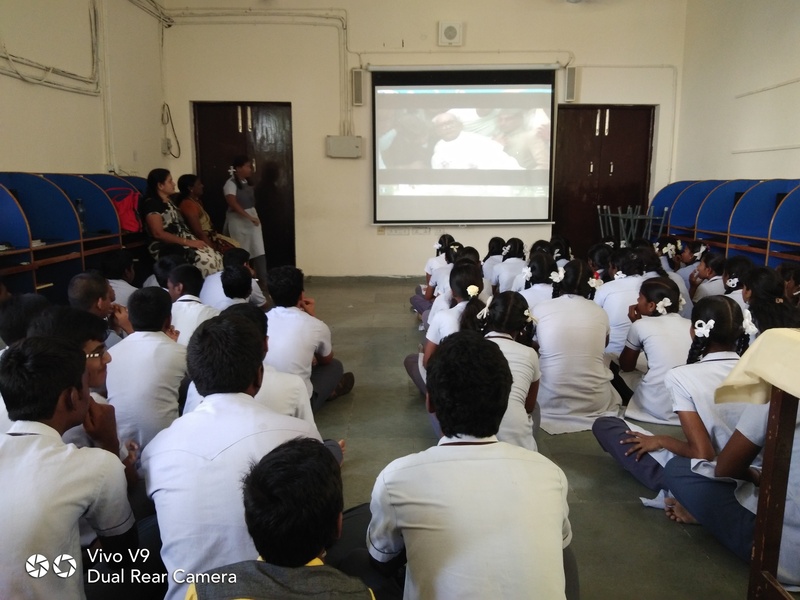 She addressed the students of Classes VIII to X and discussed about the good touch and bad touch.The movie 'Komal' was screened. 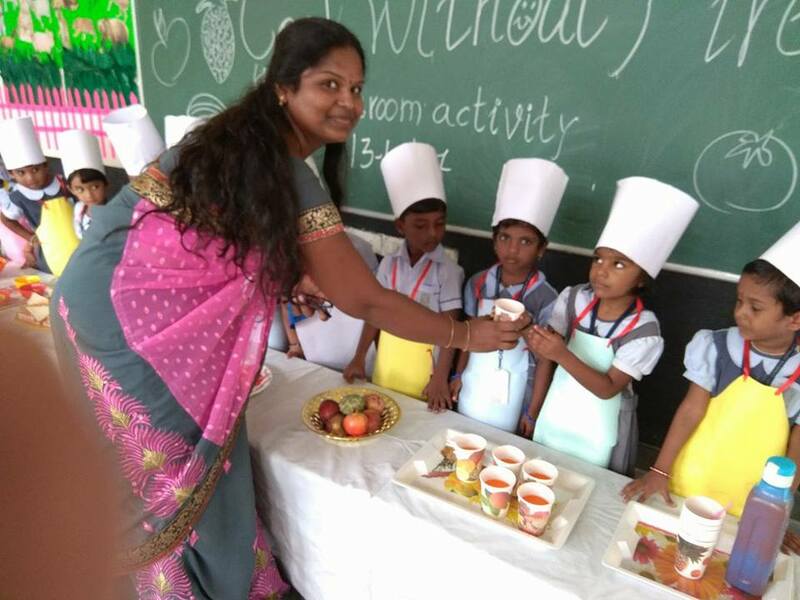 She also motivated and guided the children on how they should react on any social evil and prove themselves to be good citizens. 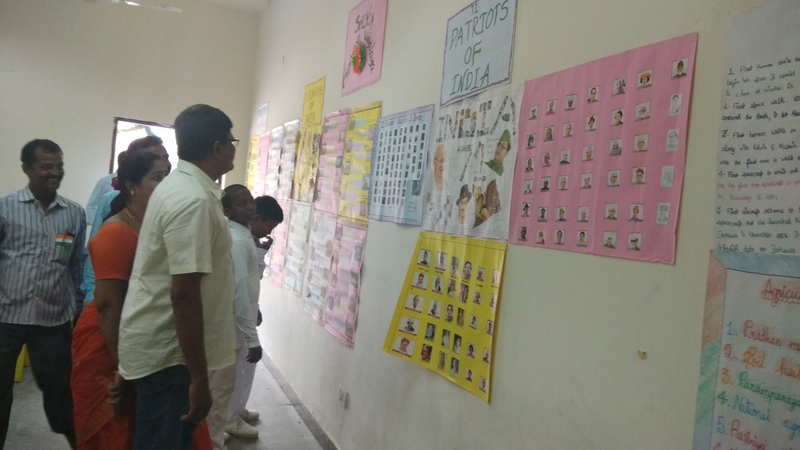 Children raised several questions regarding safety issues, corruption and bribery. 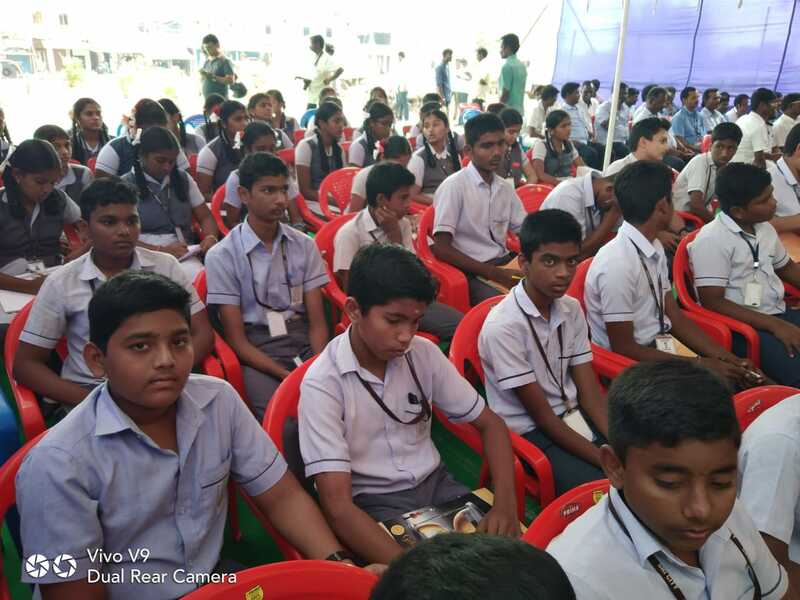 It was definitely an eye opener for the youngsters. 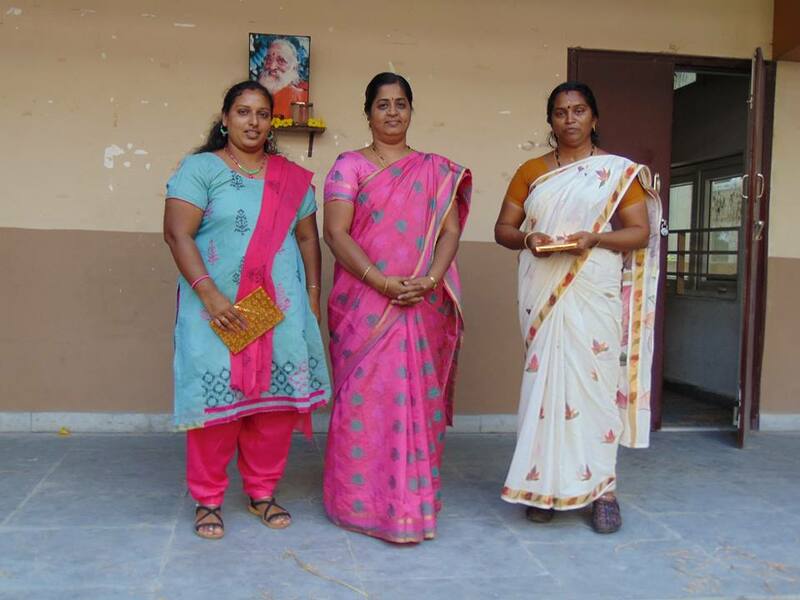 "English Enhancement Programme" was conducted from 27th December to 29th December in the school premises by Smt.Seethalakshmi from Success Mantra for all the staff members in our Vidyalaya. 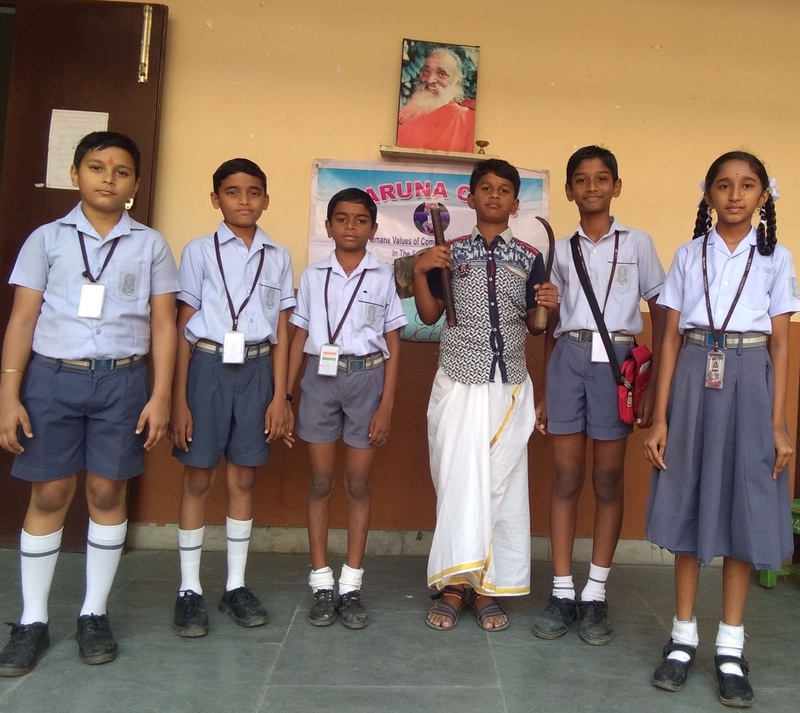 As a part of Science week observed from Dec 4th-8th, Students of Class X performed a small skit to create awareness on Blood donation. 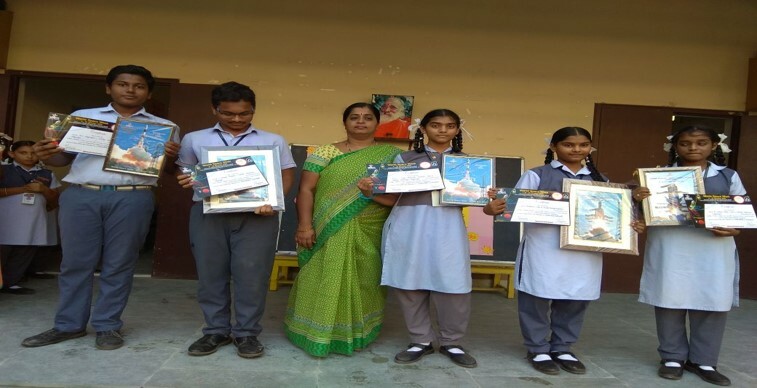 Information on Universal donor, Universal recipient and eligibility criteria for blood donation were shared in the morning assembly. 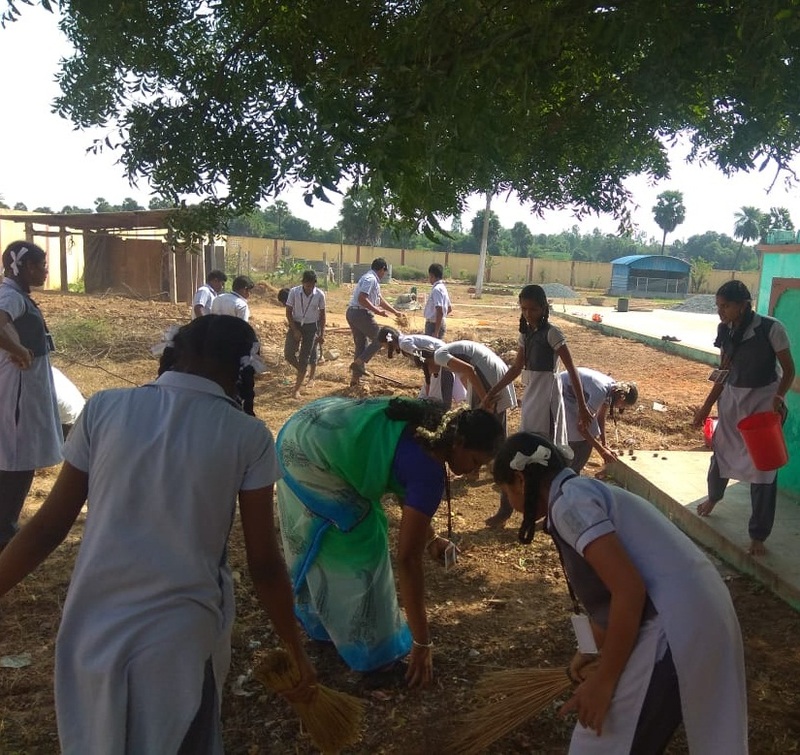 Class IX students gained hands on experience on paddy cultivation. 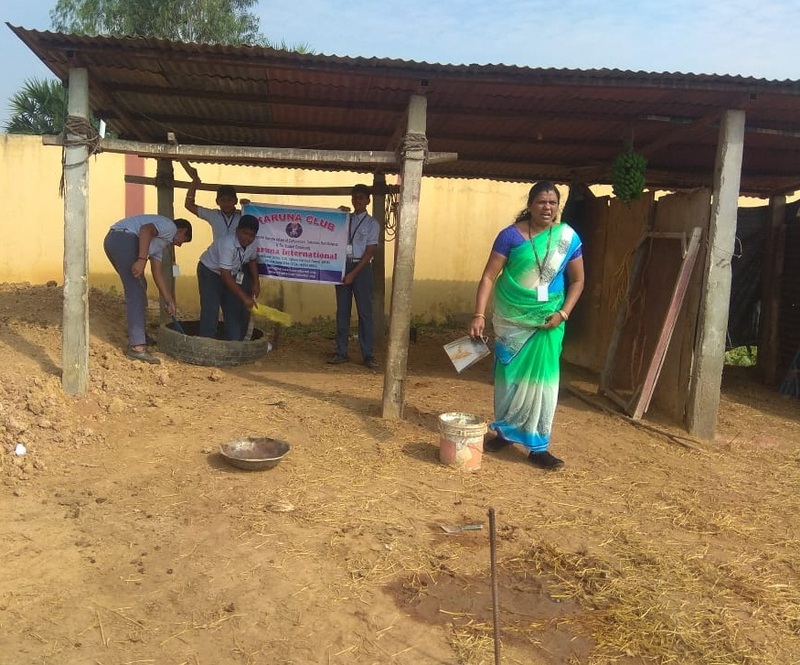 The soil was prepared and loosened by the boys and girls went on to plant the saplings. 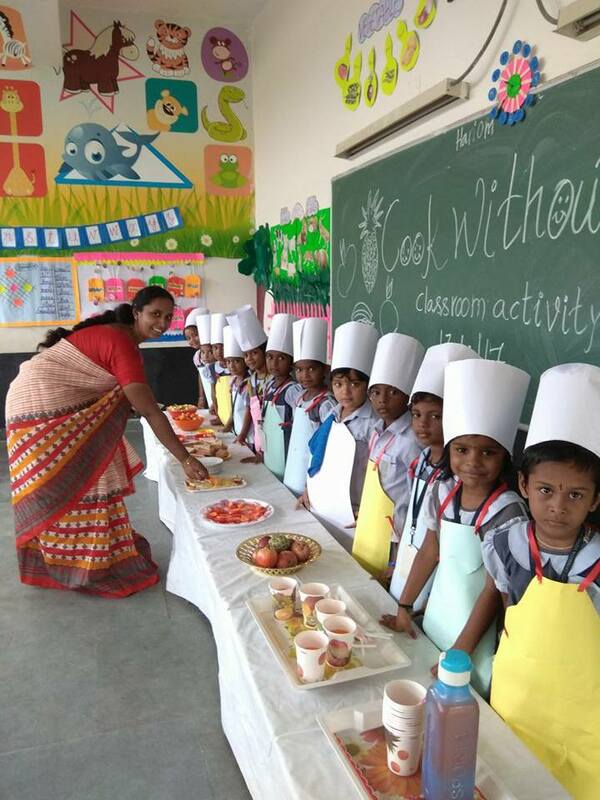 It was definitely an enriching experience for the students on organic farming.